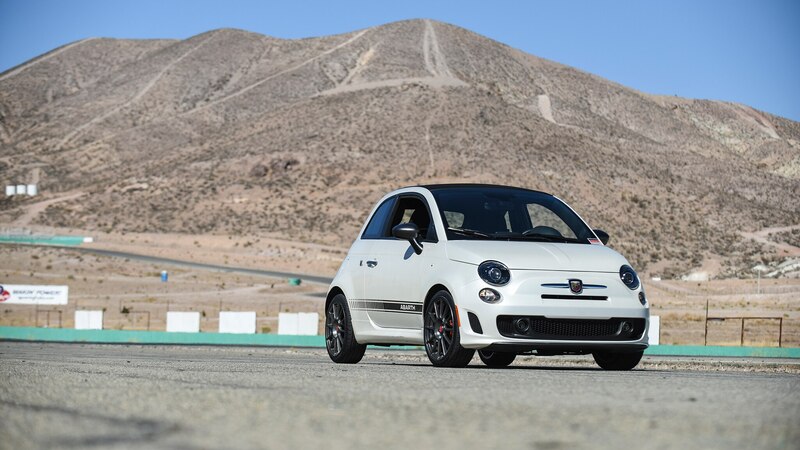 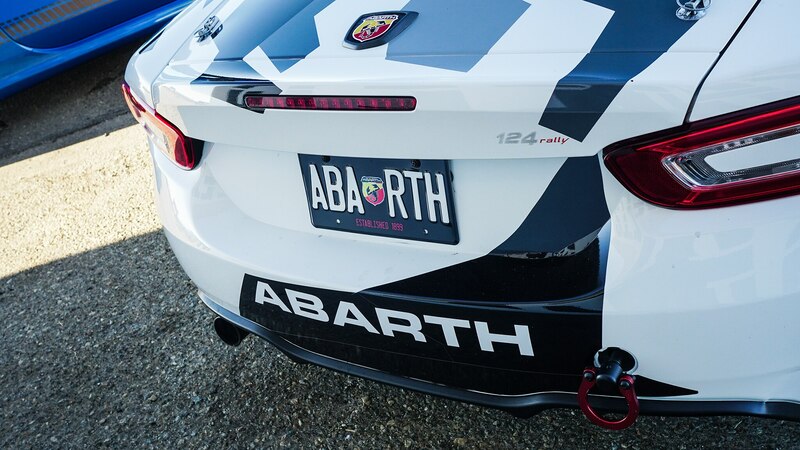 When Fiat offered me the opportunity to enlist in a one-day racing school at Willow Springs International Raceway Anthony’s words of wisdom flowed through my mind. 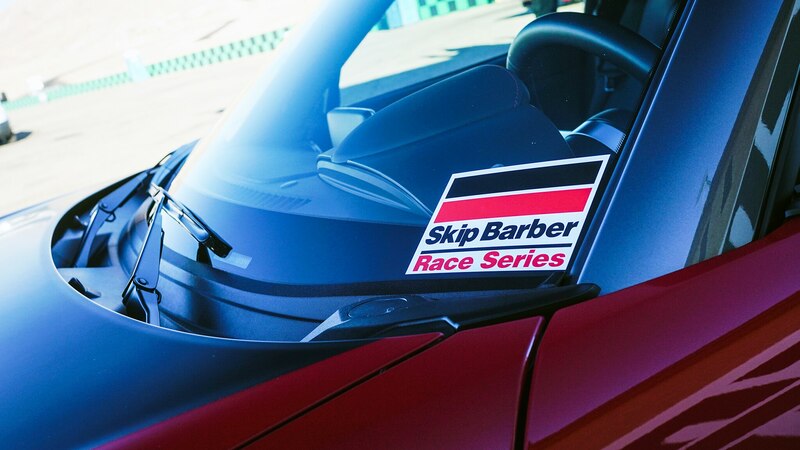 These words were my focal point in preparing to learn a new skill set under the instruction of Skip Barber Racing School. 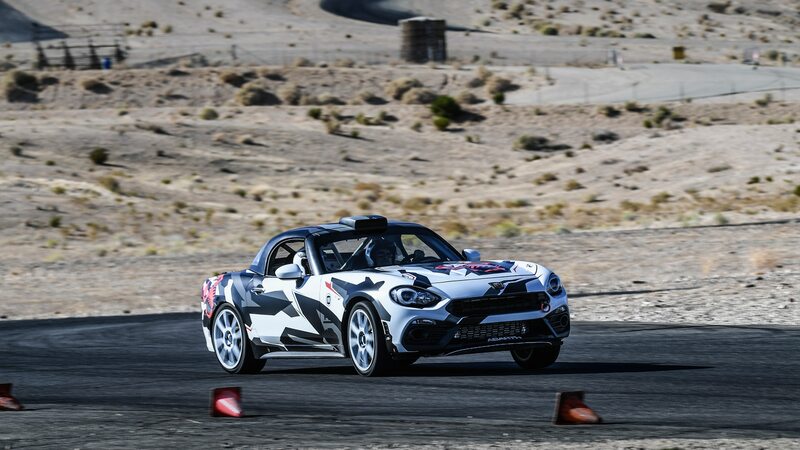 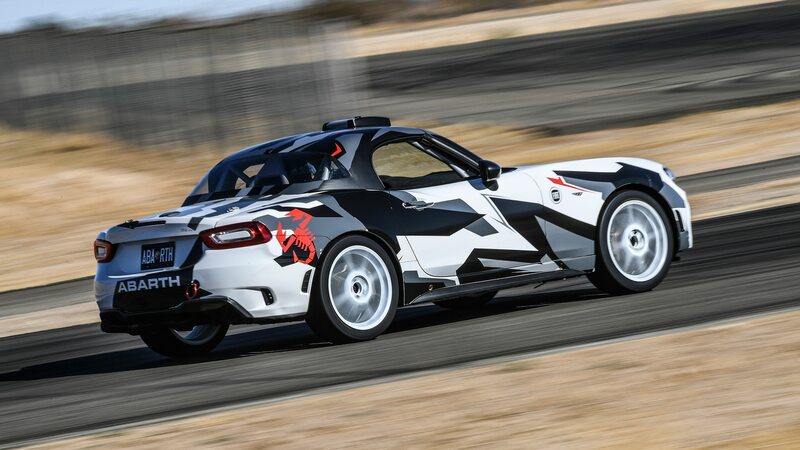 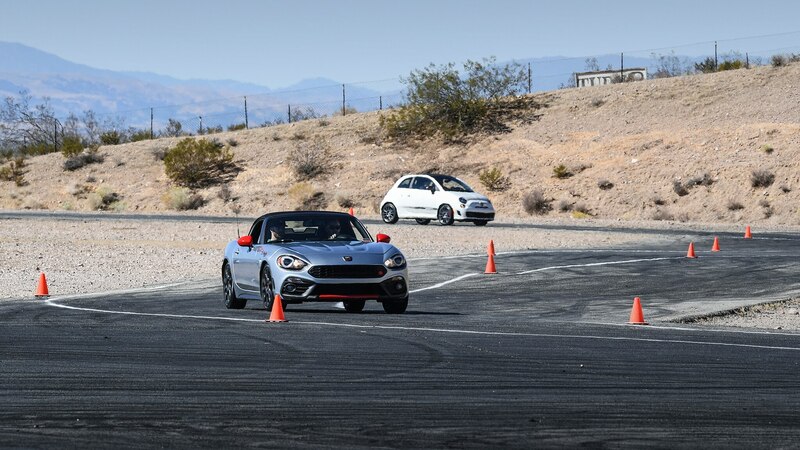 Although I had prior track experience from our annual All-Stars extravaganza, I showed up at Willow Springs with a blank sheet of paper to fully immerse myself in the course. 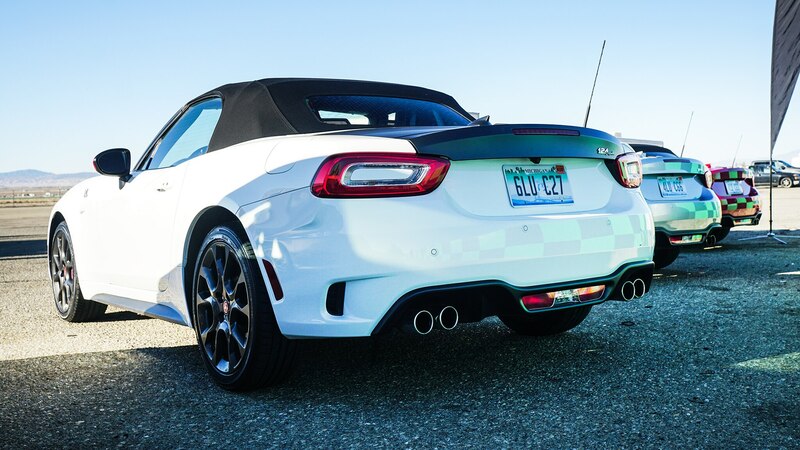 Our day started in the classroom where Skip Barber chief instructor Terry Earwood jotted down key racing terms on a whiteboard. 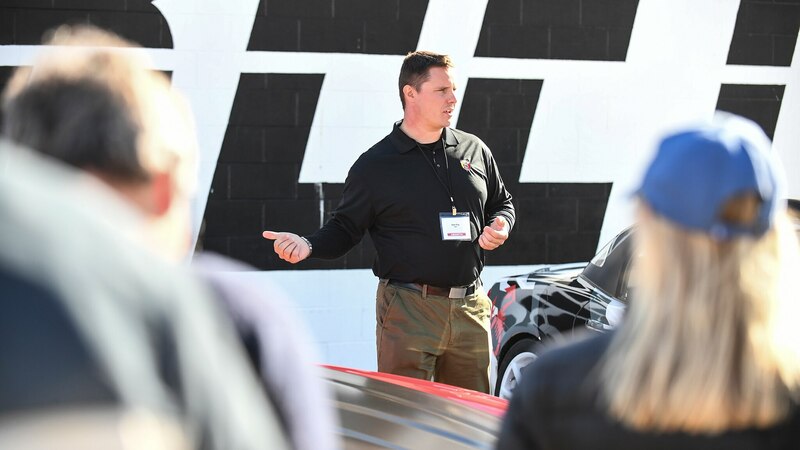 Terry explained the importance of braking, turning, and acceleration and why these capabilities are vital to having control of a car on the track. 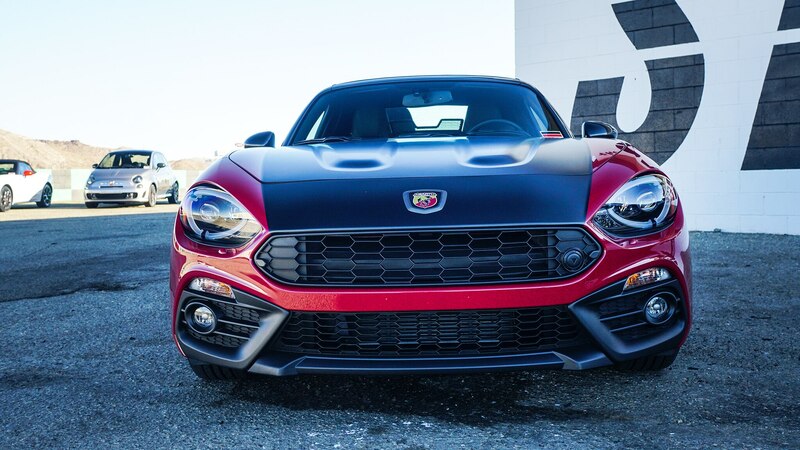 To help me reinforce this I repeated a catchy phrase Terry said: eyes are the prize. 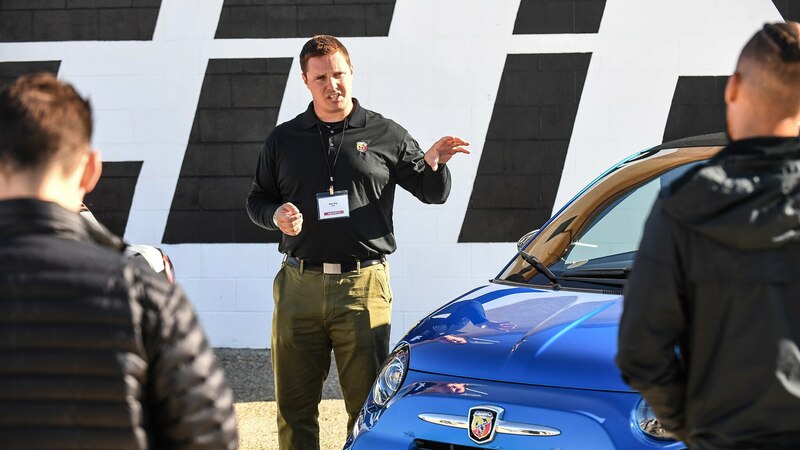 I could not internalize every concept Terry wrote on the whiteboard but I will never forget his killer sense of humor that made learning fun and sitting in a classroom entertaining. 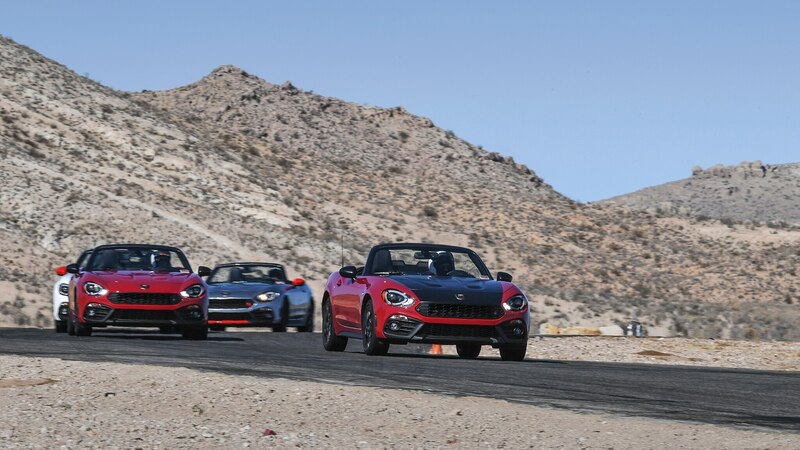 Outside the classroom a shiny lineup of Abarth edition Fiat 124 Spiders and 500s waited for us to heat up their brake pads. 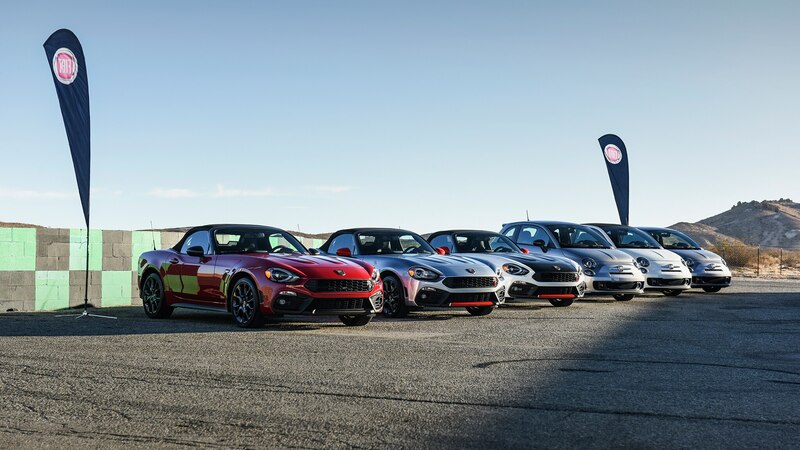 We were split up in two groups: yellow wrist bands for those with little or no track experience and red wrist bands for those with experience. 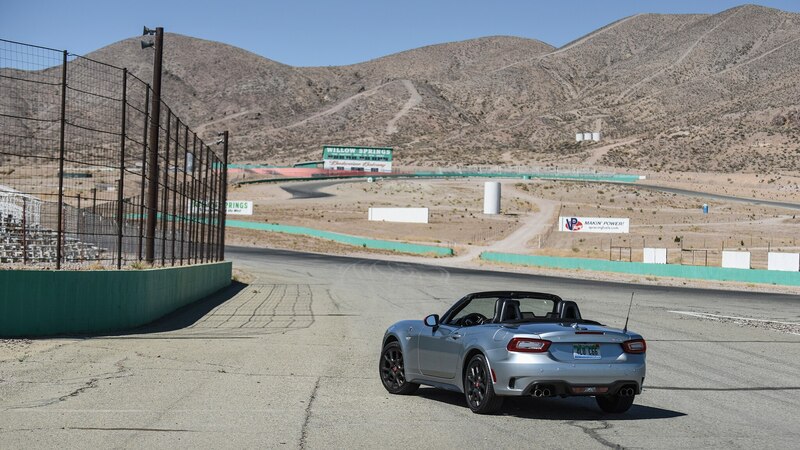 The required exercises before any driving could be done on the track were autocross and skidpad. 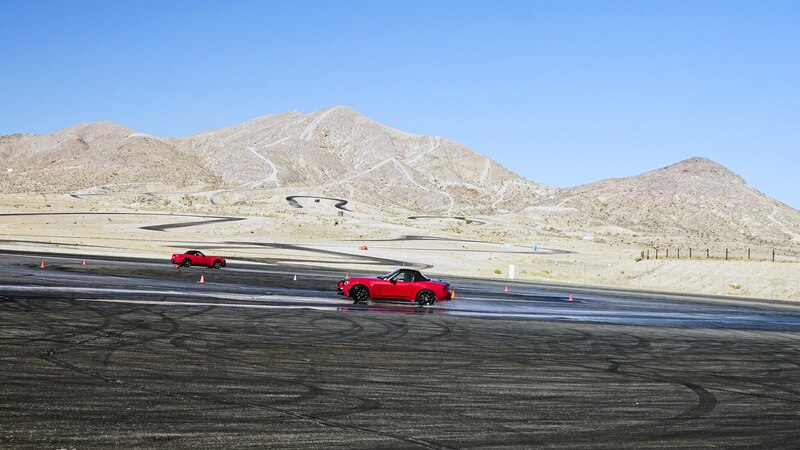 The yellow group started at the autocross exercise. 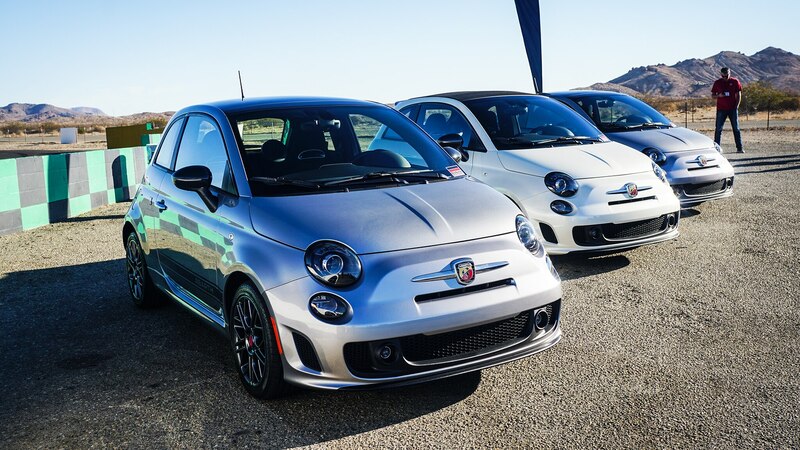 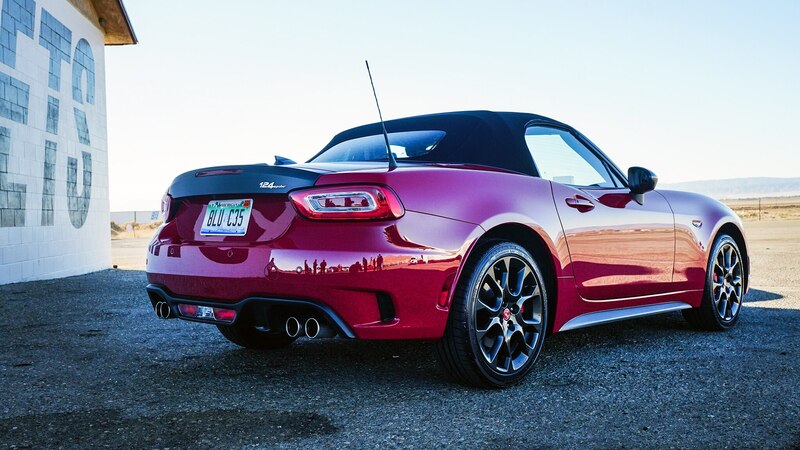 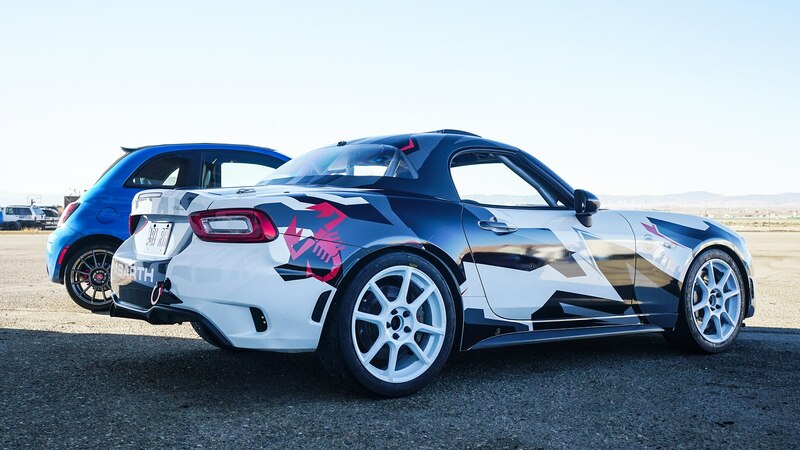 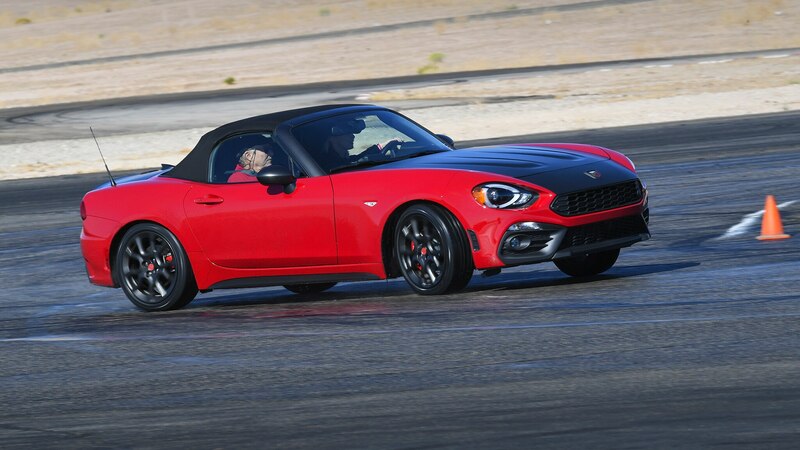 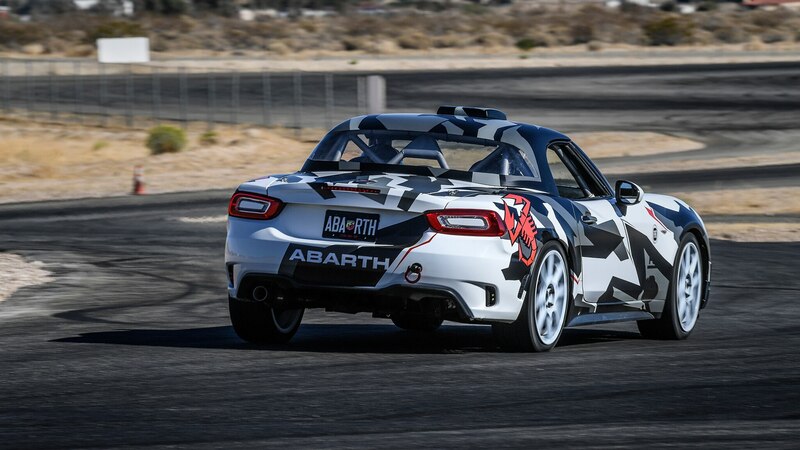 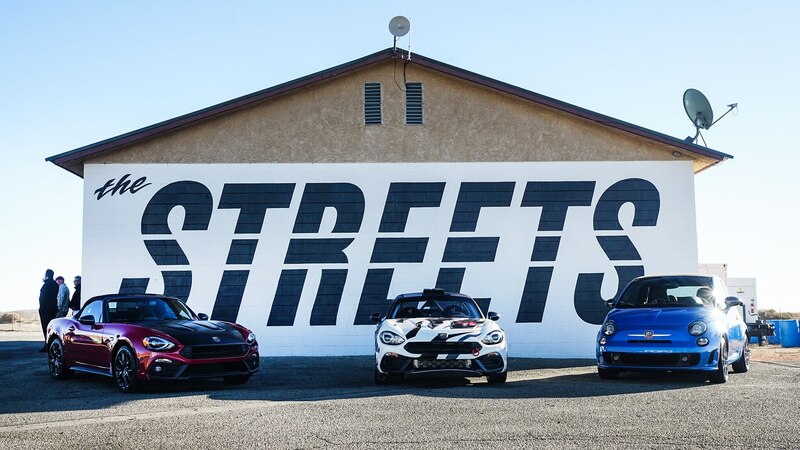 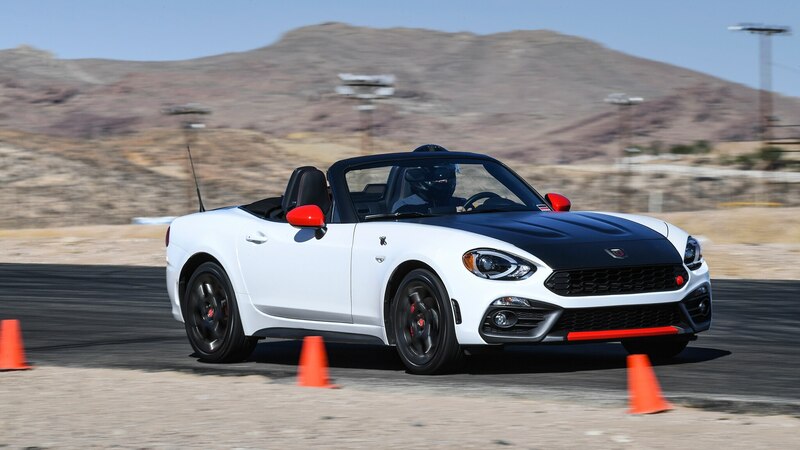 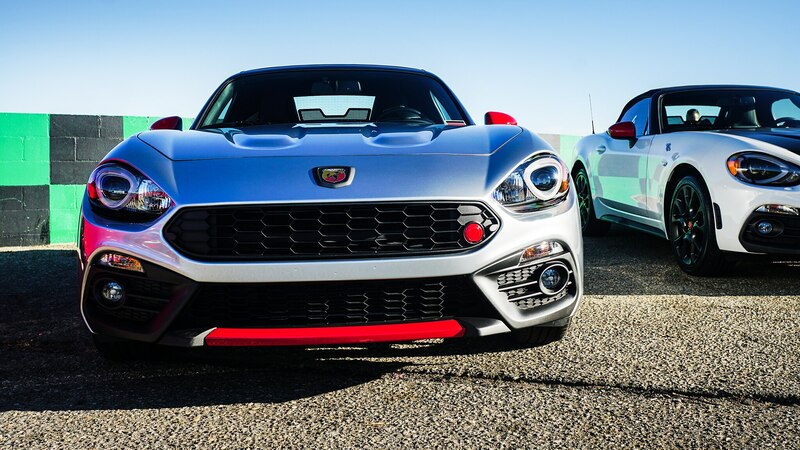 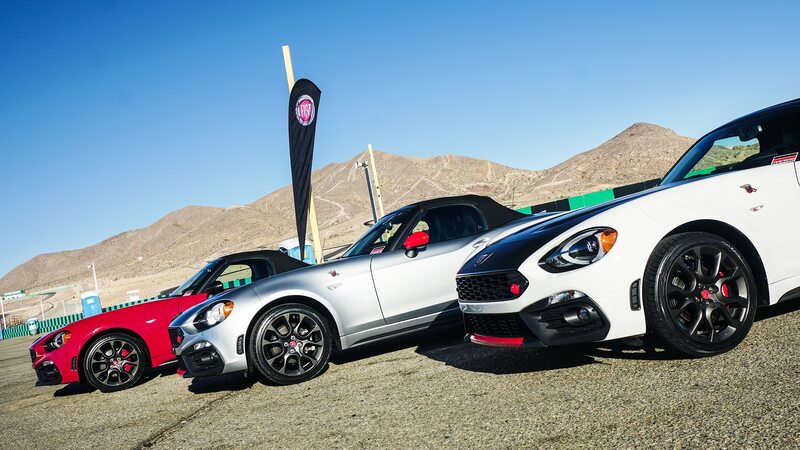 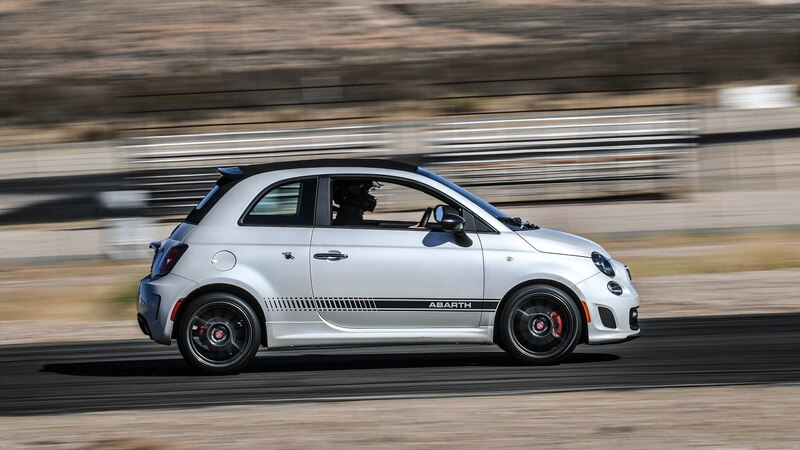 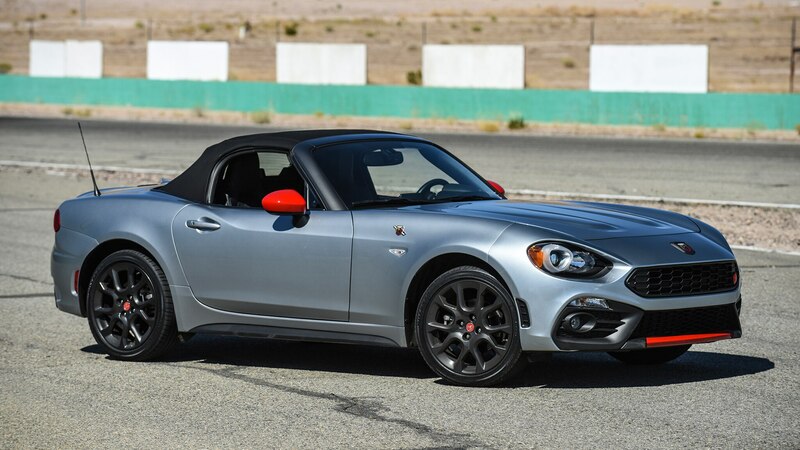 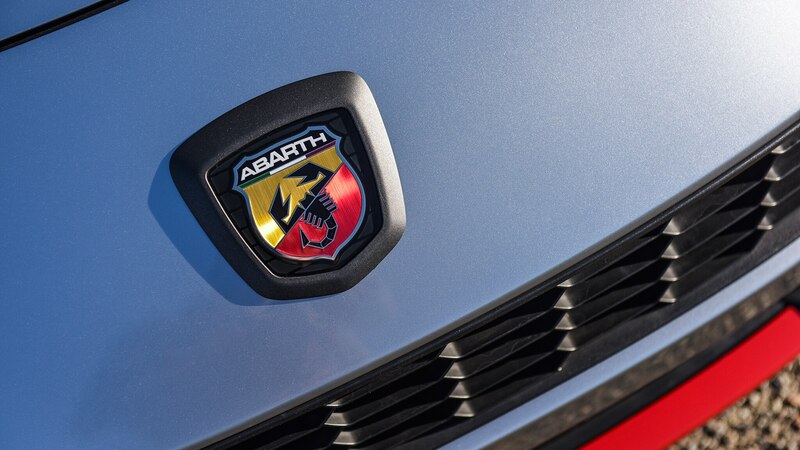 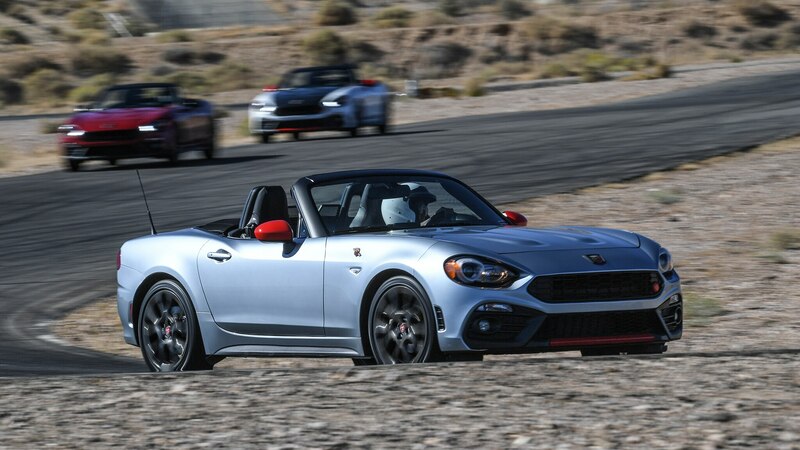 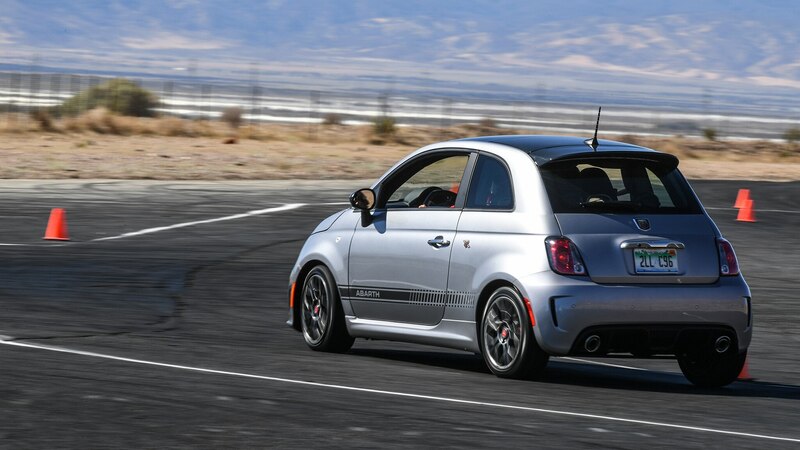 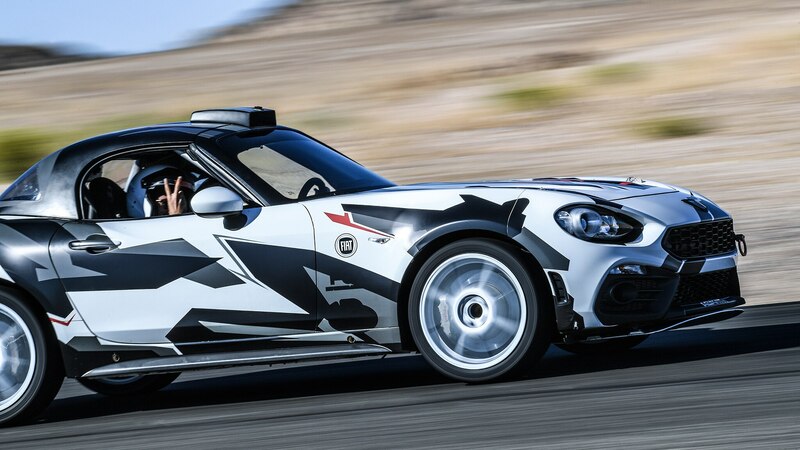 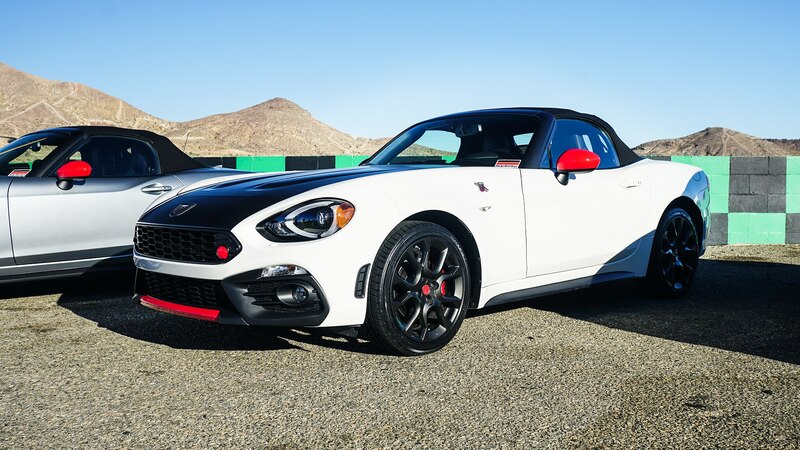 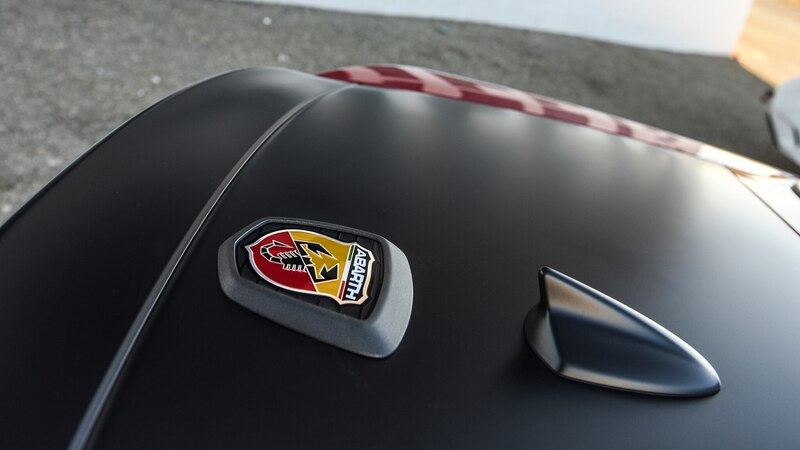 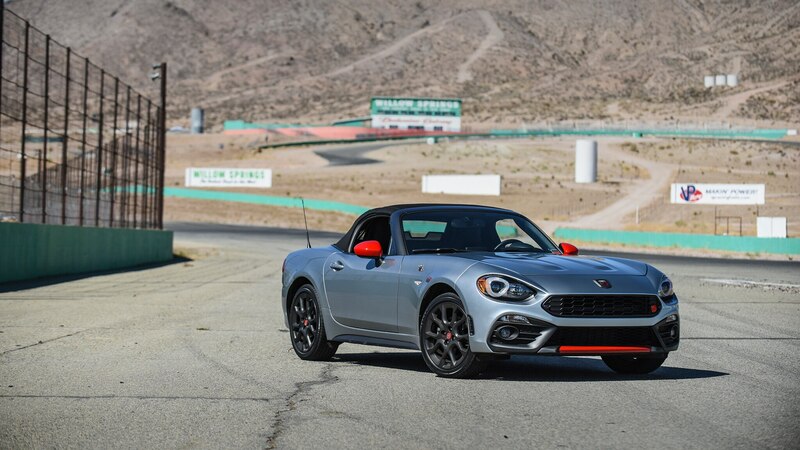 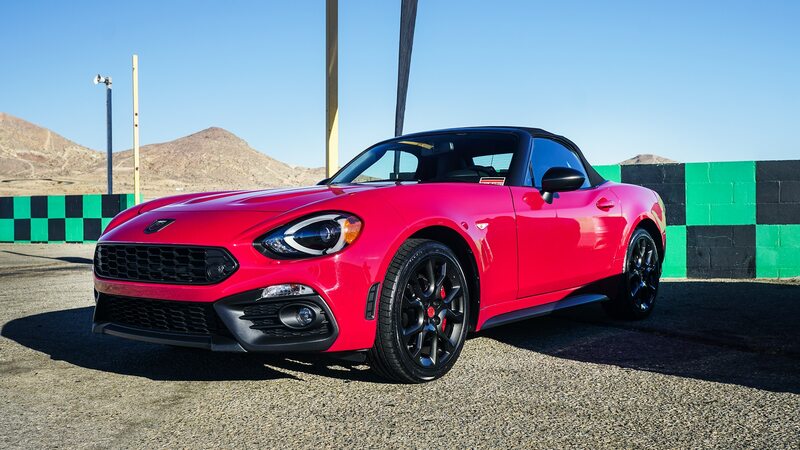 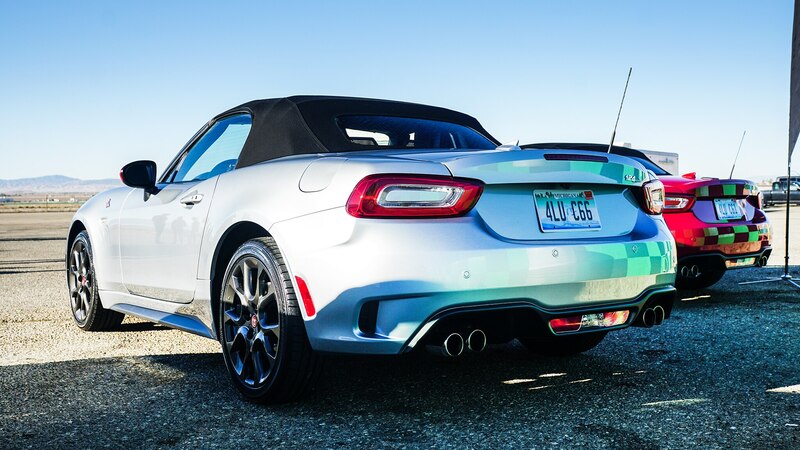 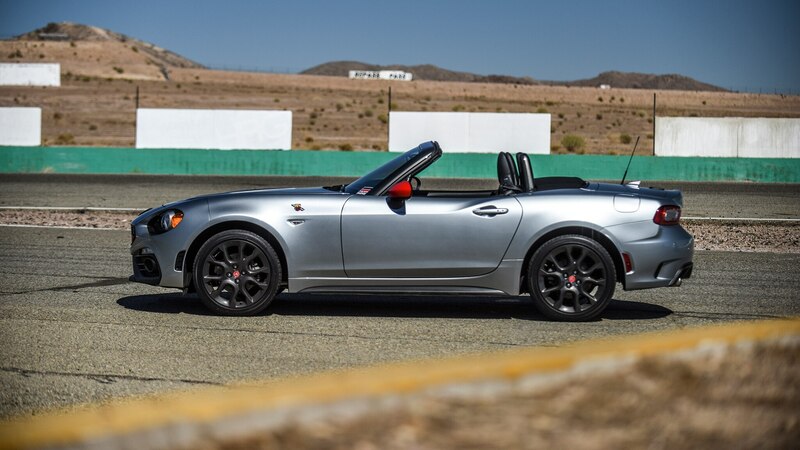 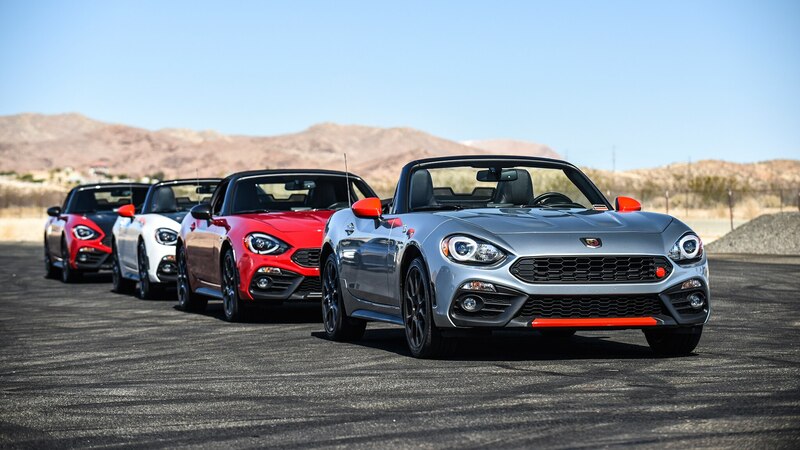 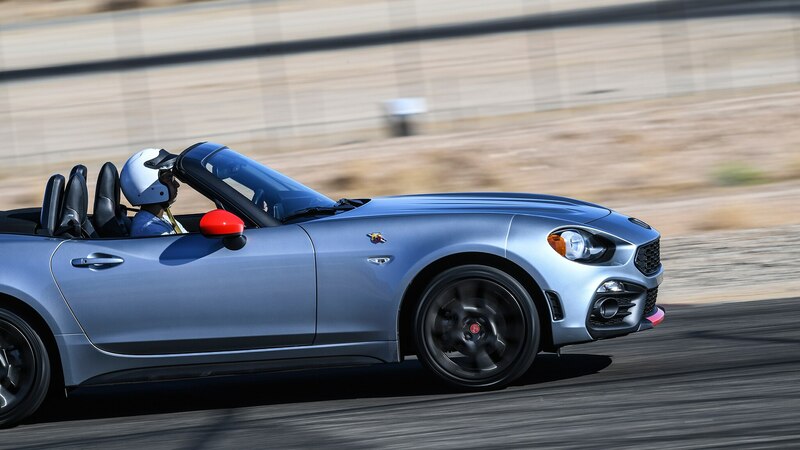 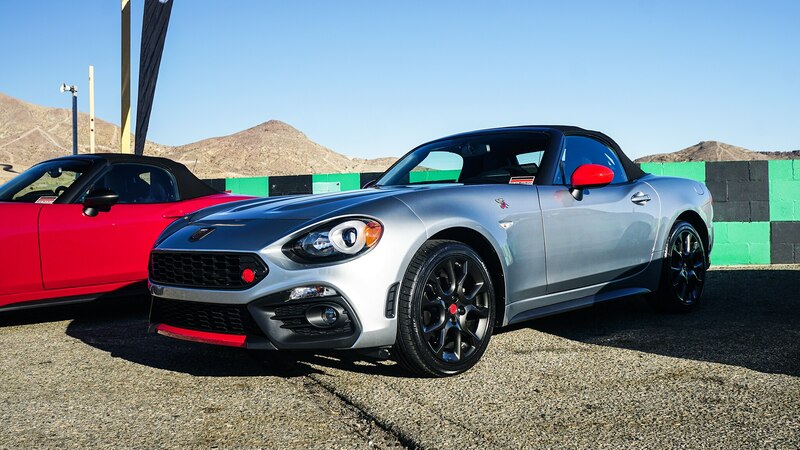 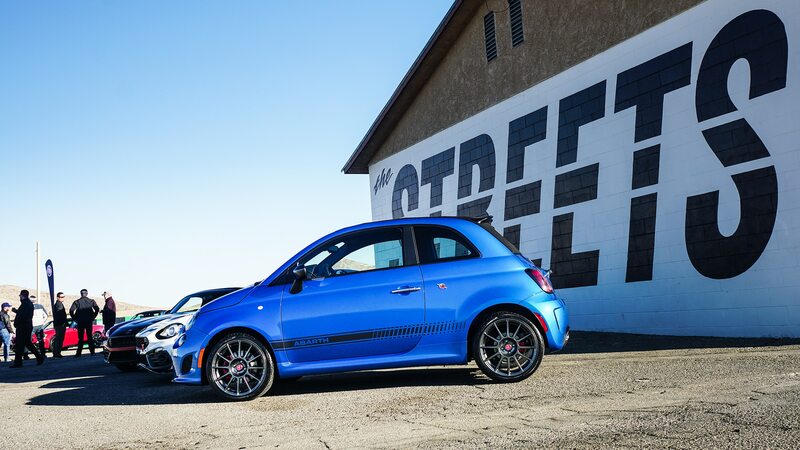 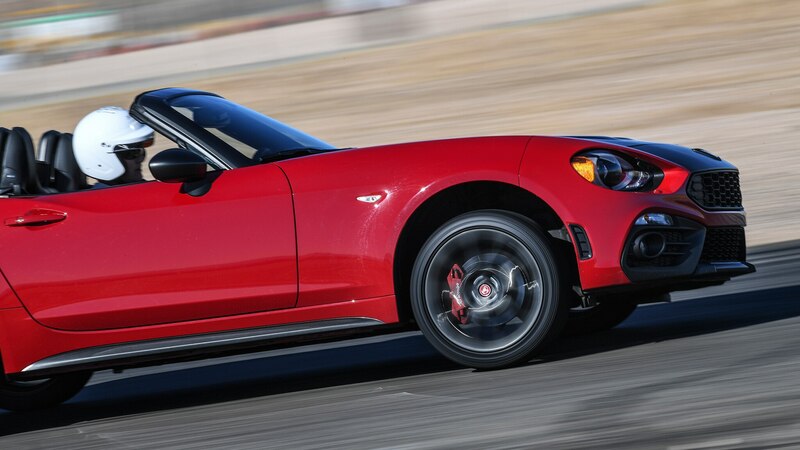 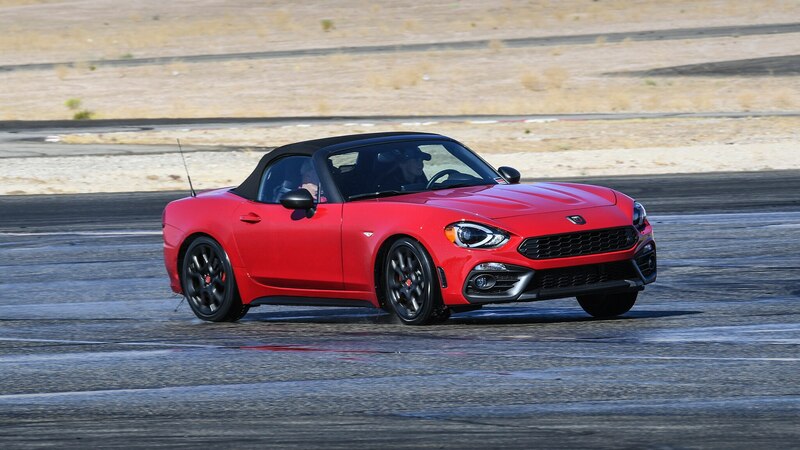 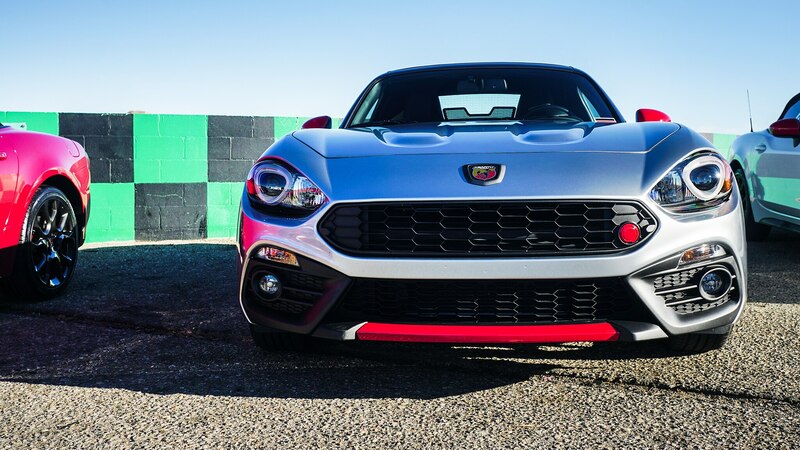 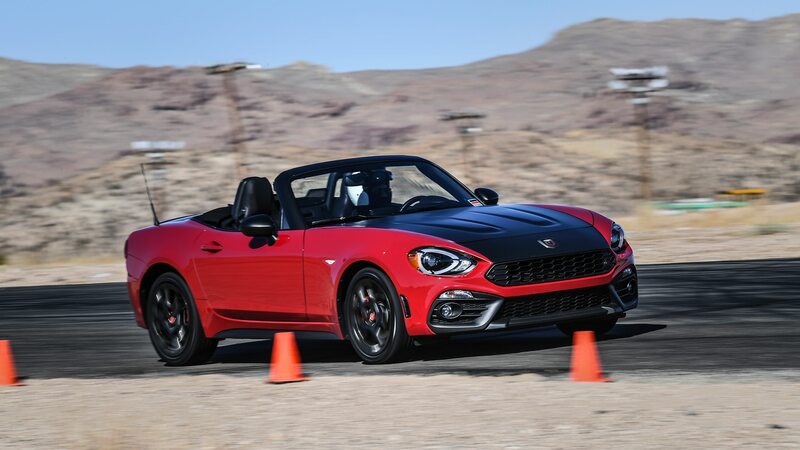 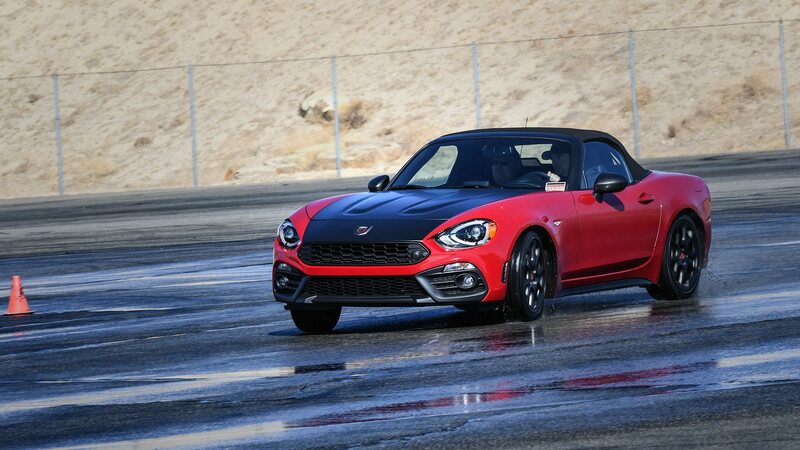 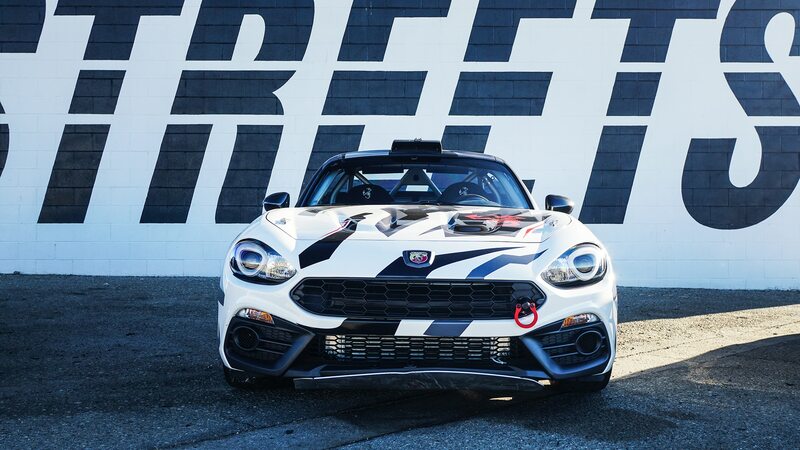 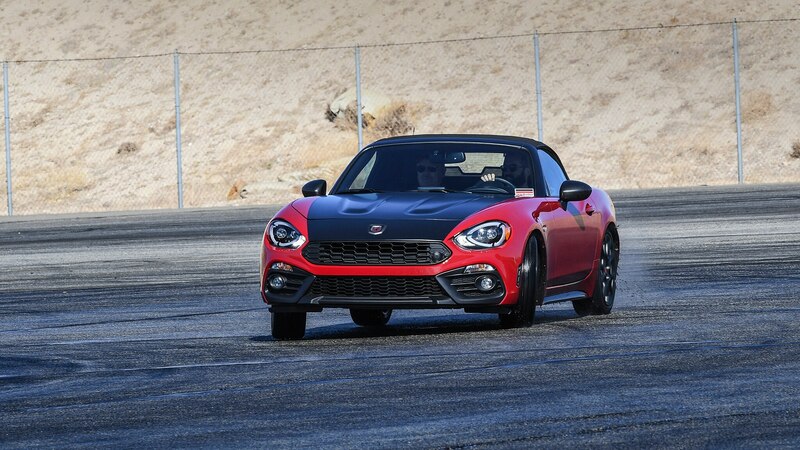 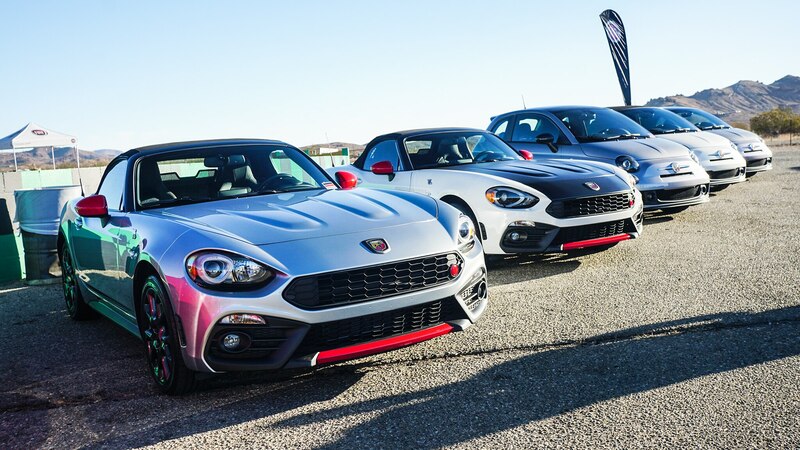 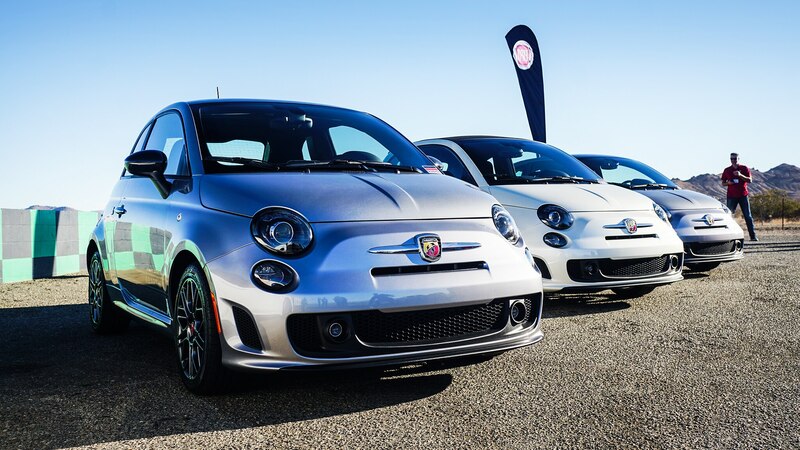 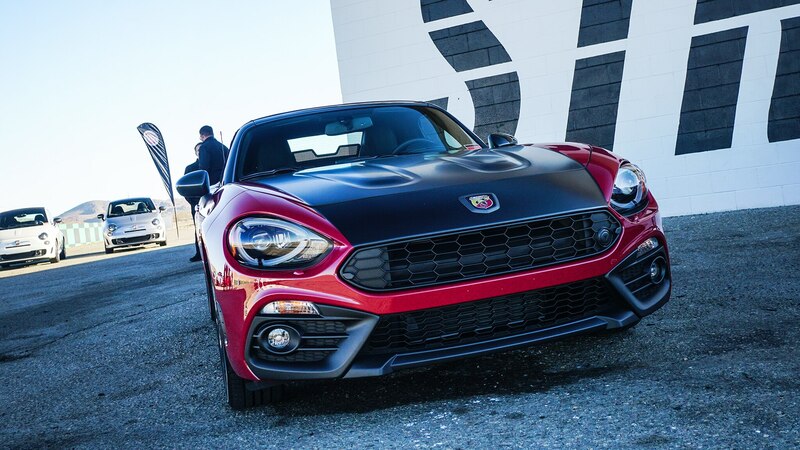 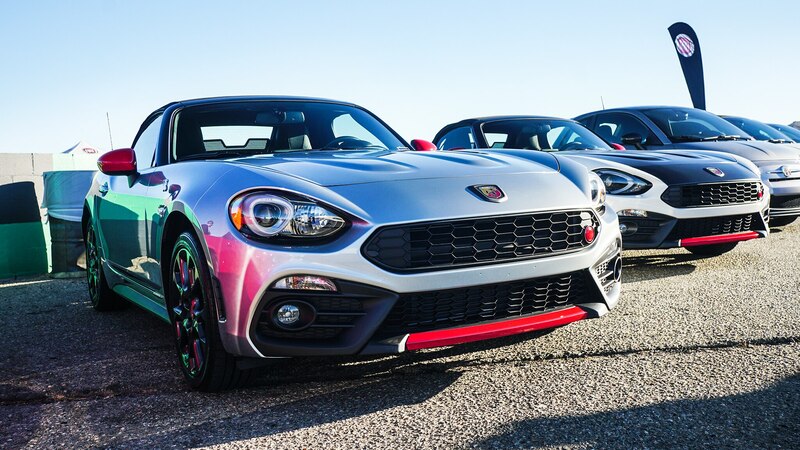 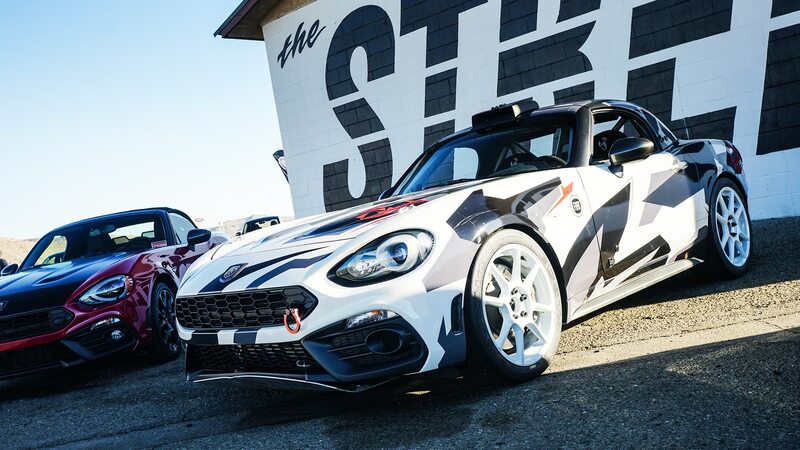 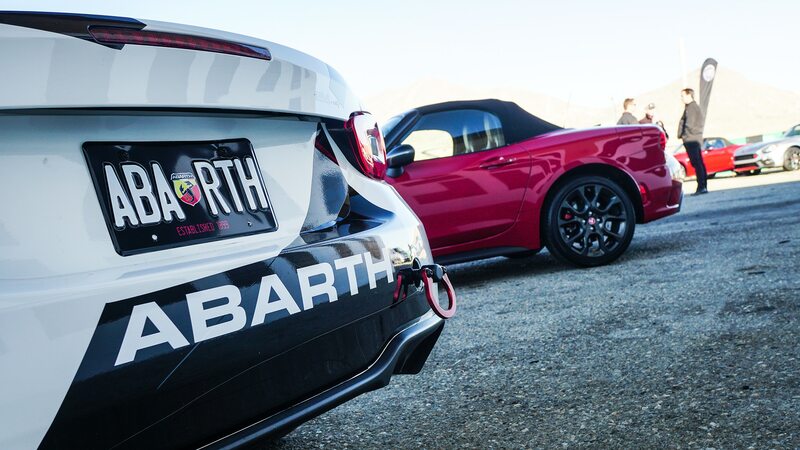 We were given the option to drive either a Fiat 500 Abarth with 135 hp and 150 lb-ft of torque or Fiat 124 Spider Abarth with 164 hp and 184 lb-ft of torque—both with a manual transmission. 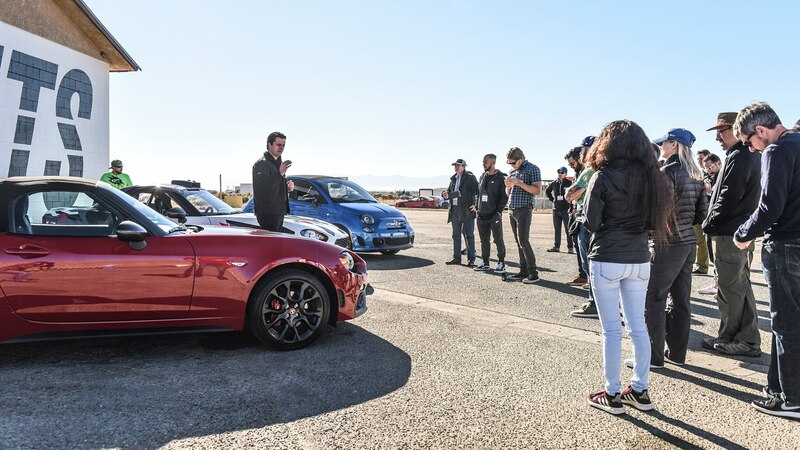 There were a few automatics on standby for those who didn’t know how to drive a manual. 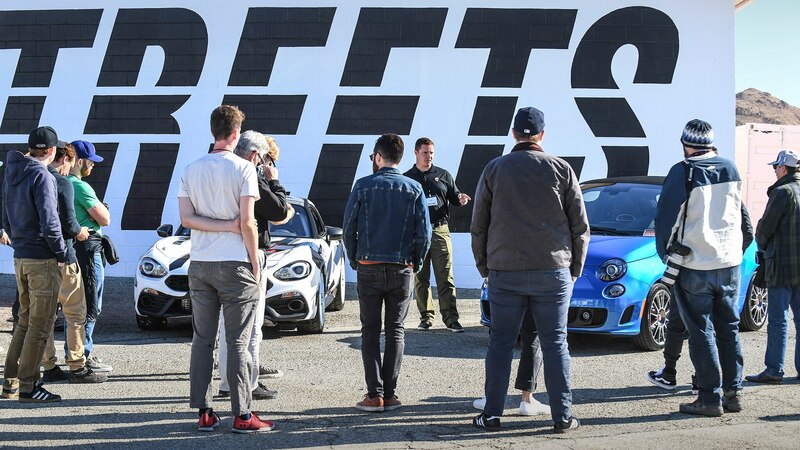 Our driving instructors consisted mostly of professional racecar drivers who were still active or more invested in teaching people like myself how to drive on the track. 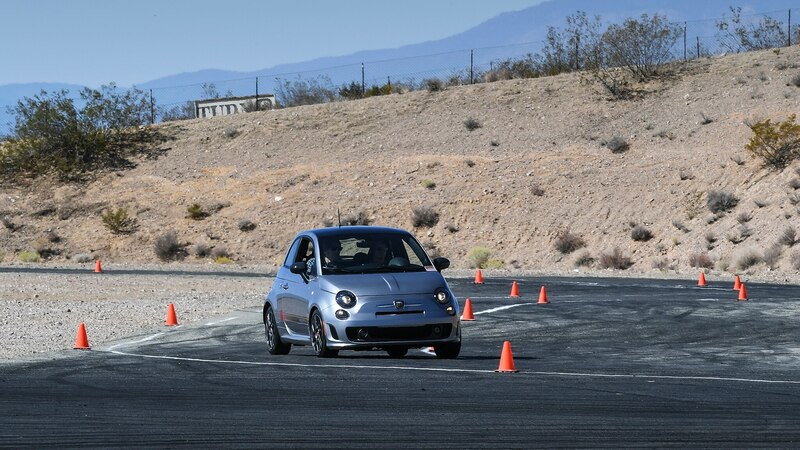 During the autocross exercise I had the opportunity to drive with three different instructors. 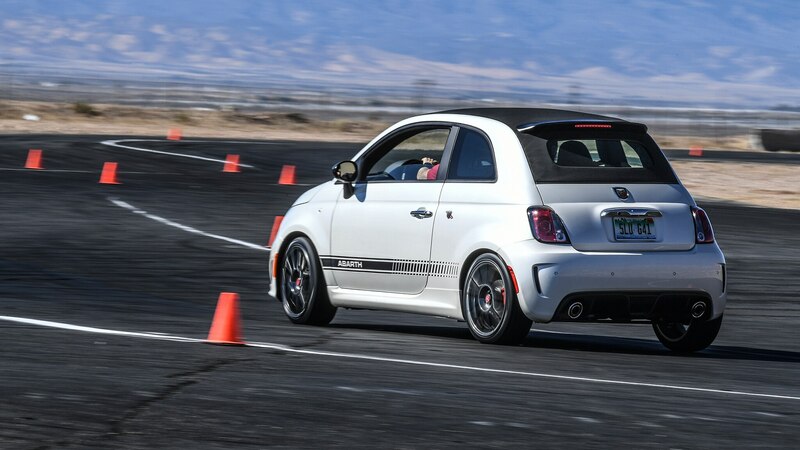 Before entering the orange cone zone my driving instructor briefed me on throttle control, braking, and turning on corners. 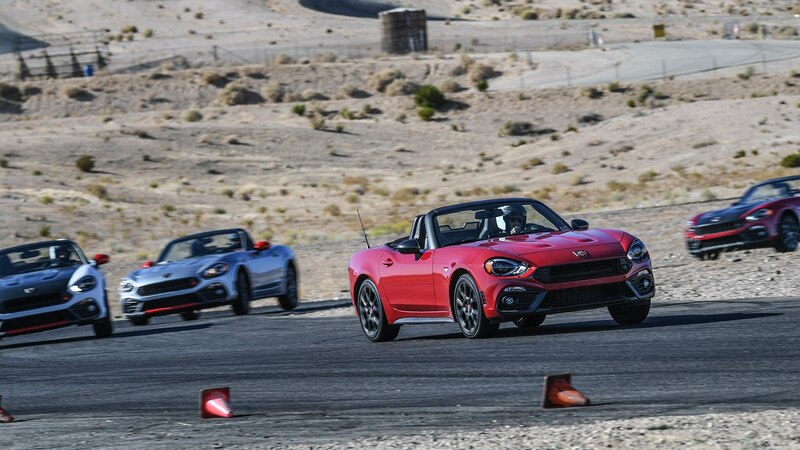 “For this exercise you will keep the car in either third or fourth gear and only shift gears on the straights,” said my instructor. 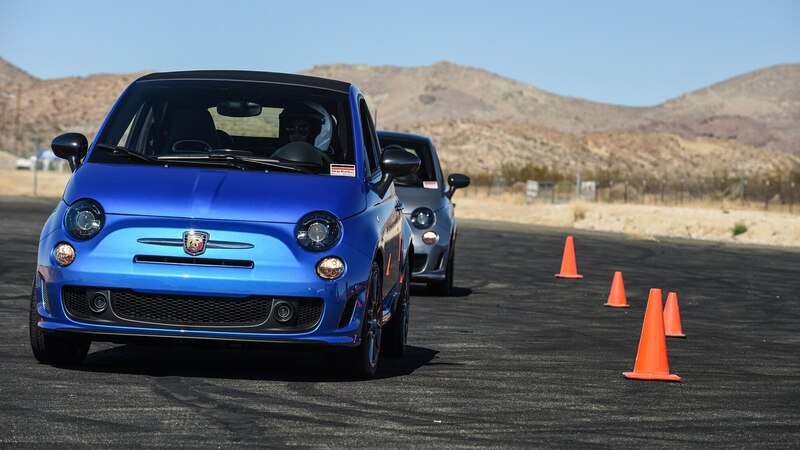 I put the Fiat 500 Abarth into first gear and soon I was maneuvering the toylike Fiat through the whirling path aligned with orange cones. 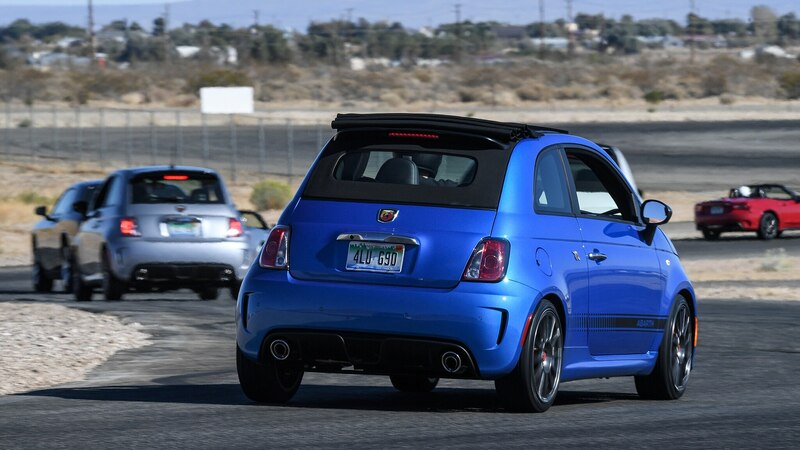 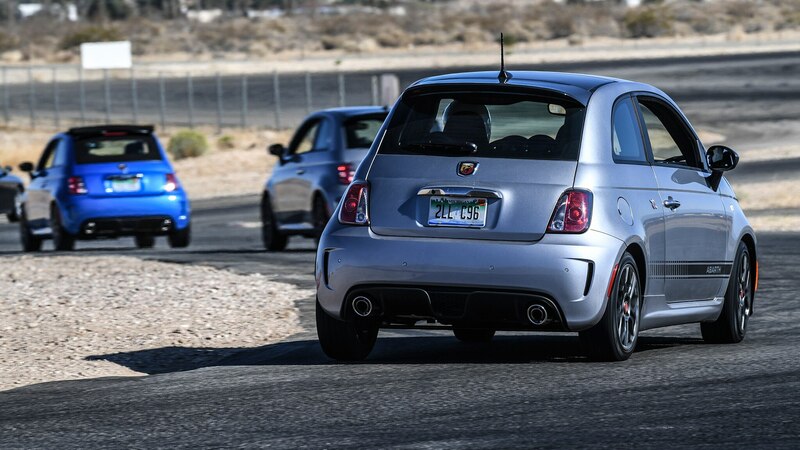 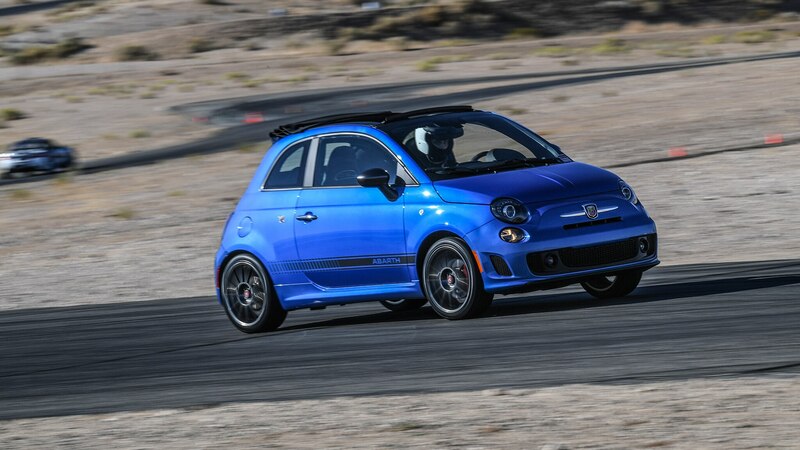 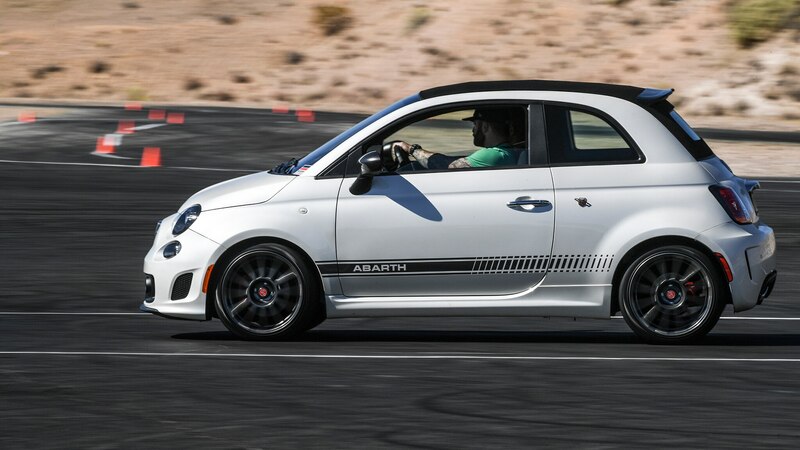 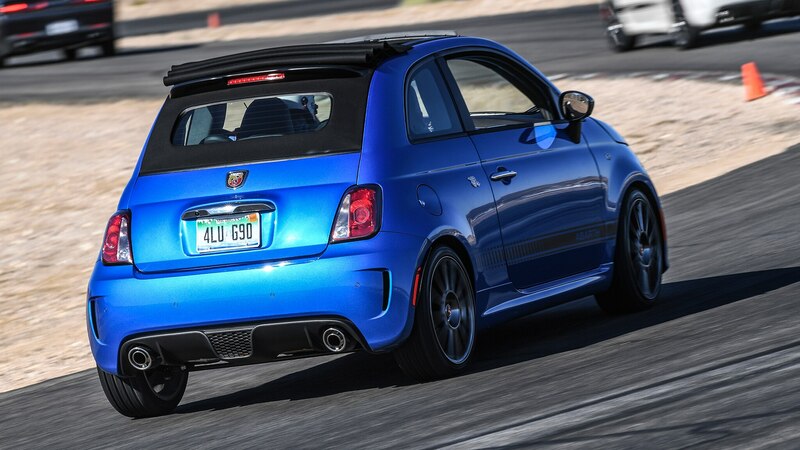 I kept the 500 Abarth at a constant of third gear which seemed to be the sweet spot for the autocross exercise. 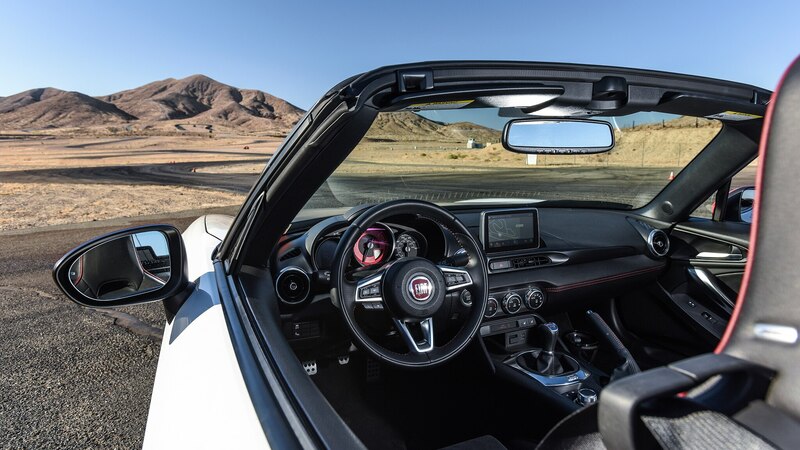 Keep both hands on the wheel! 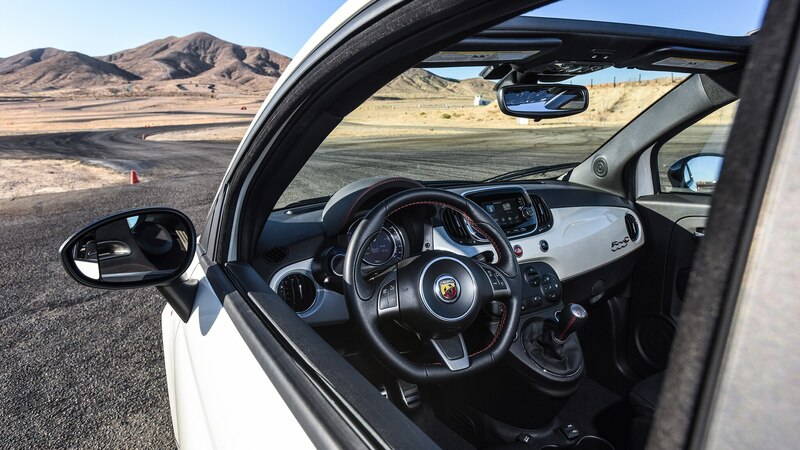 Start braking here and gradually lift your foot off the brake pedal. 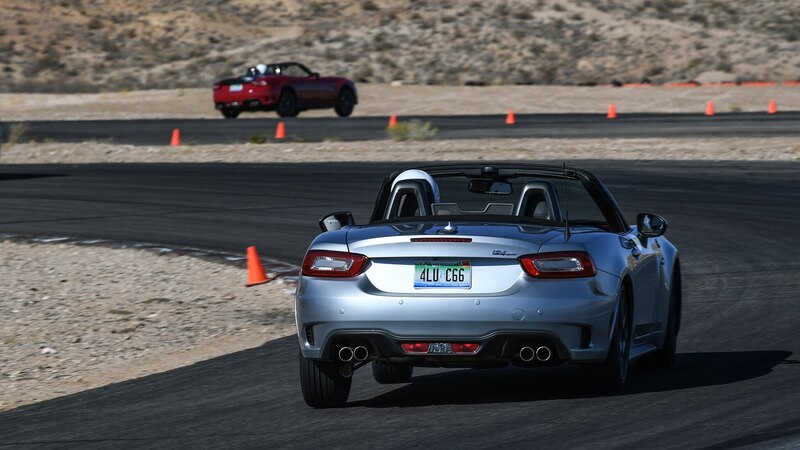 Point the car toward the apex. 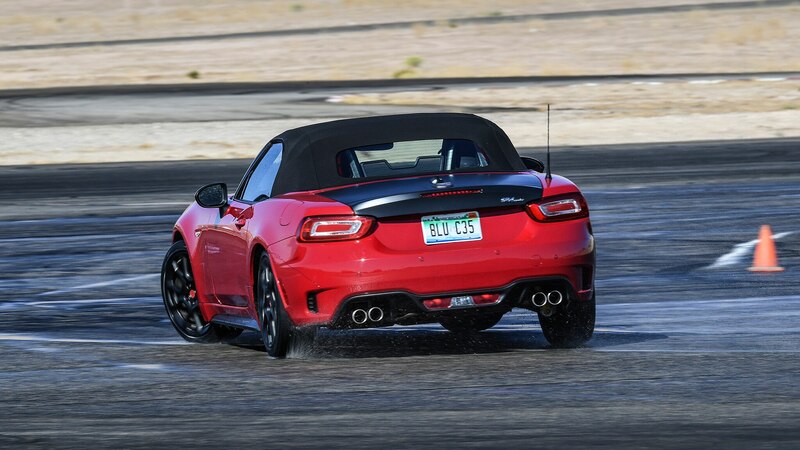 Gas pedal! 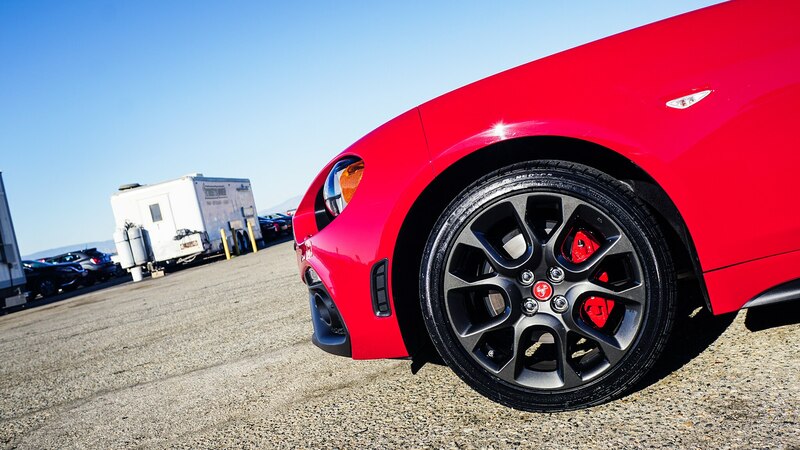 Keep turning the wheel. 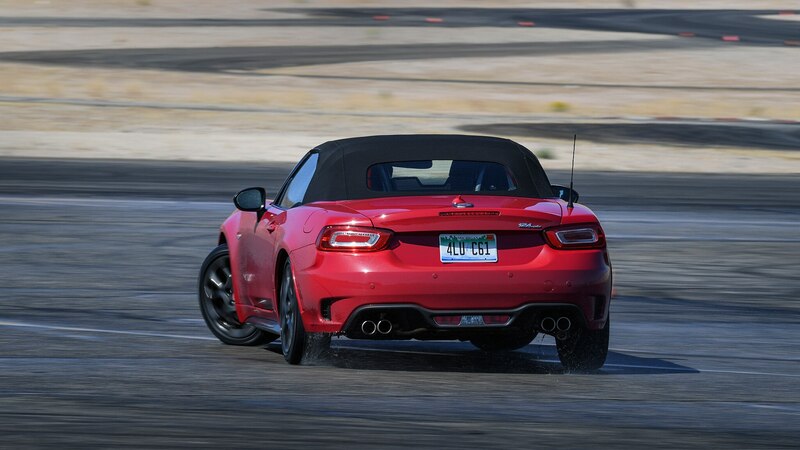 Accelerate a little more through the turn. 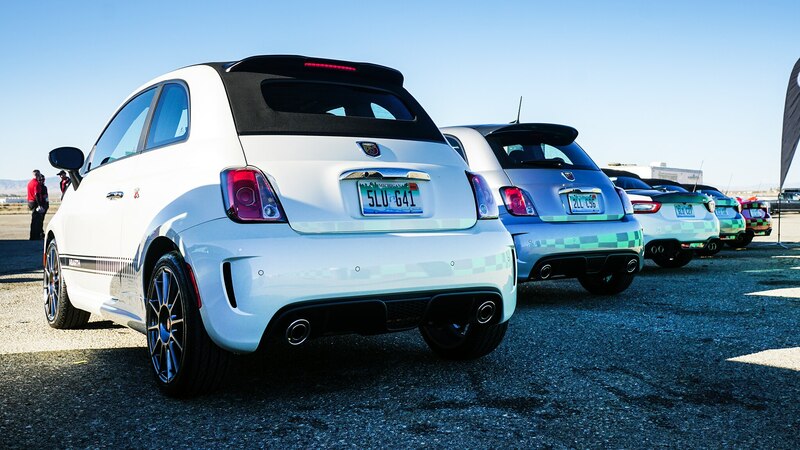 Down shift. 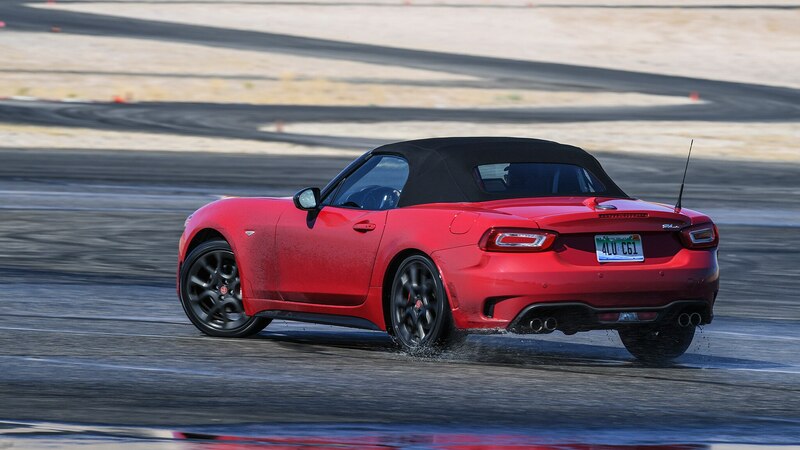 Brake pedal. 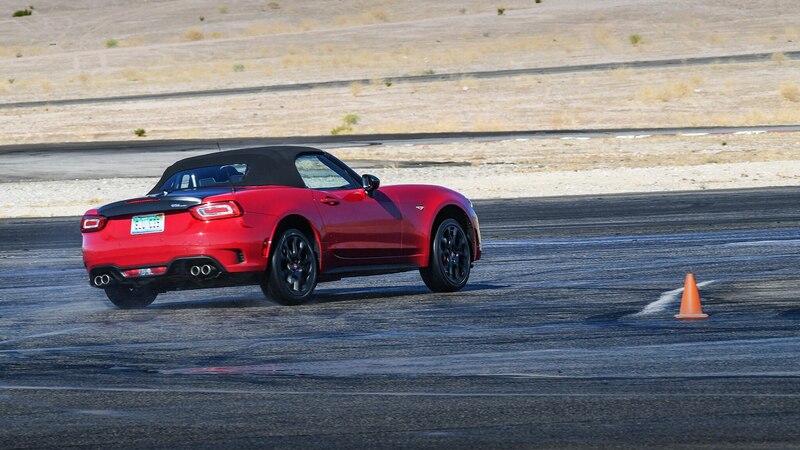 Foot on the gas pedal. 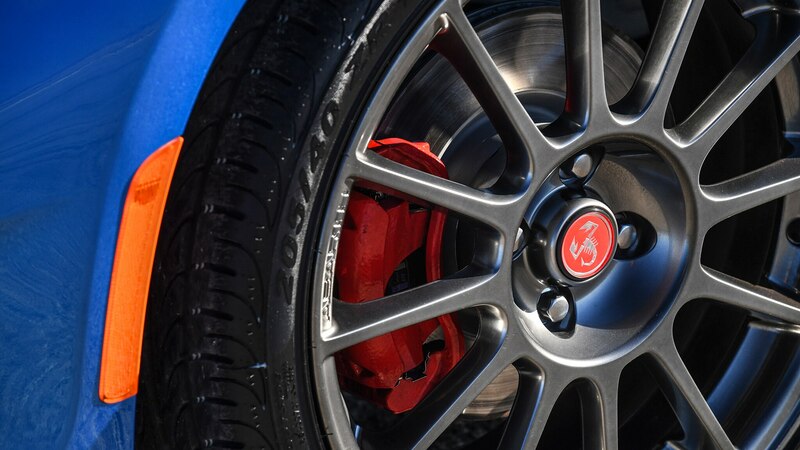 Foot off the clutch! 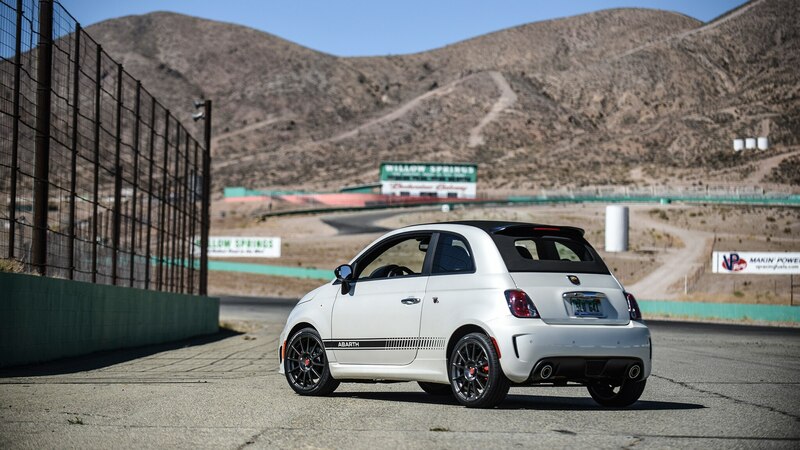 Get as close as possible to the apex. 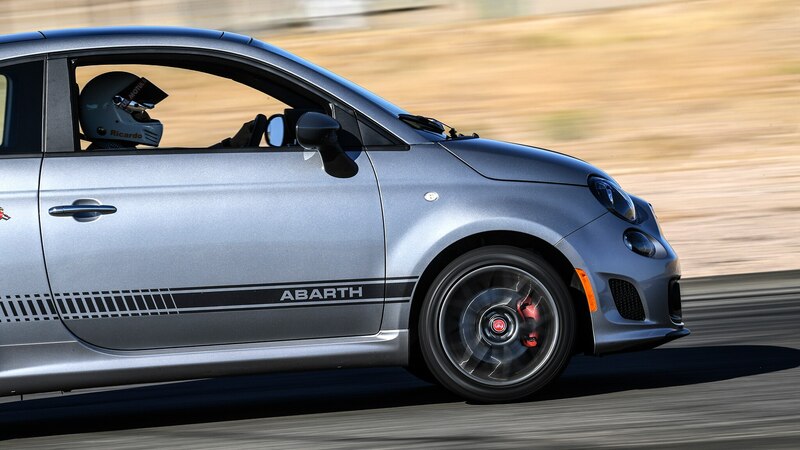 Let go of the brake pedal slowly not abruptly. 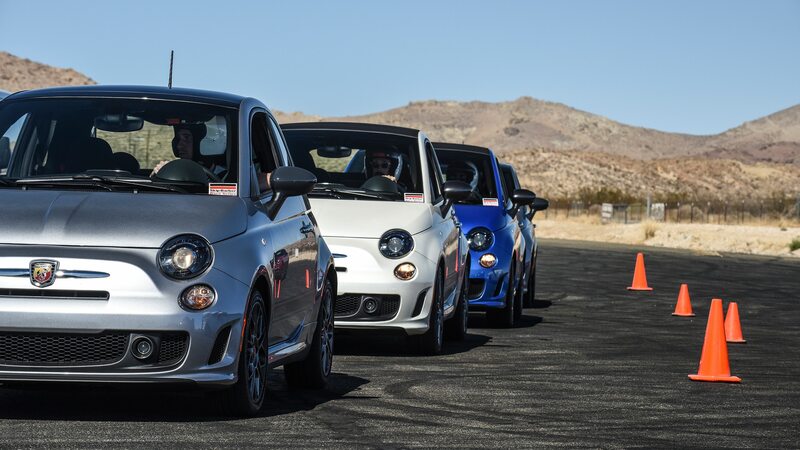 Start turning now! 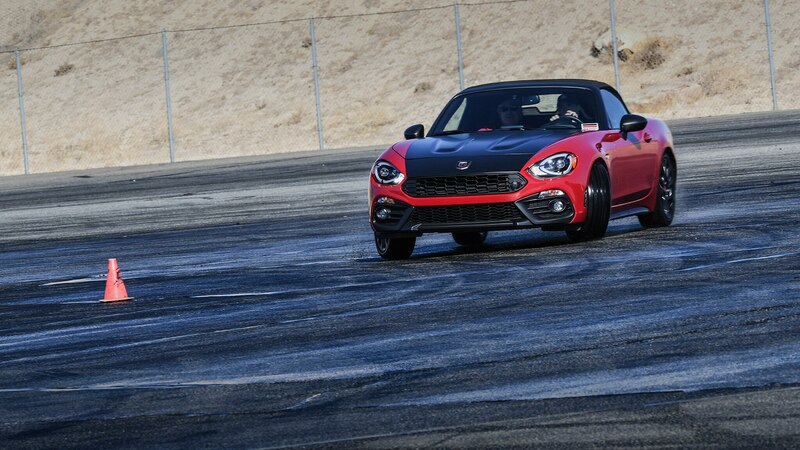 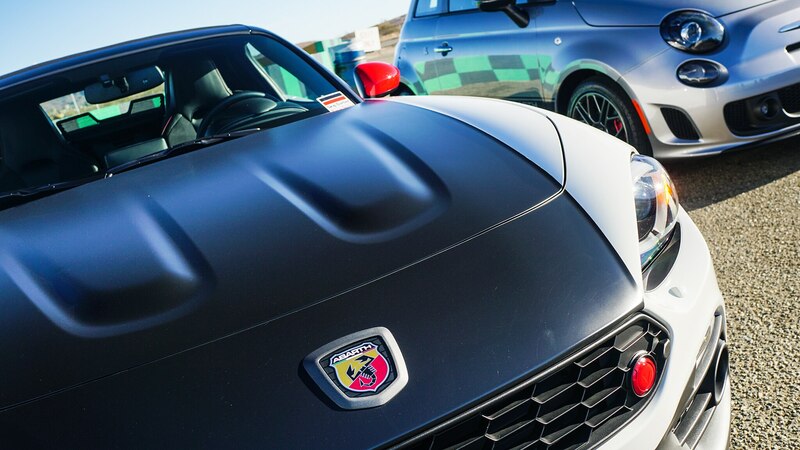 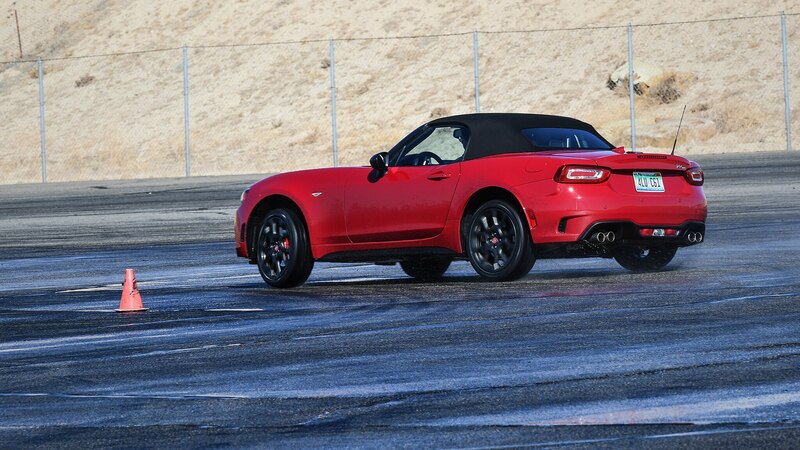 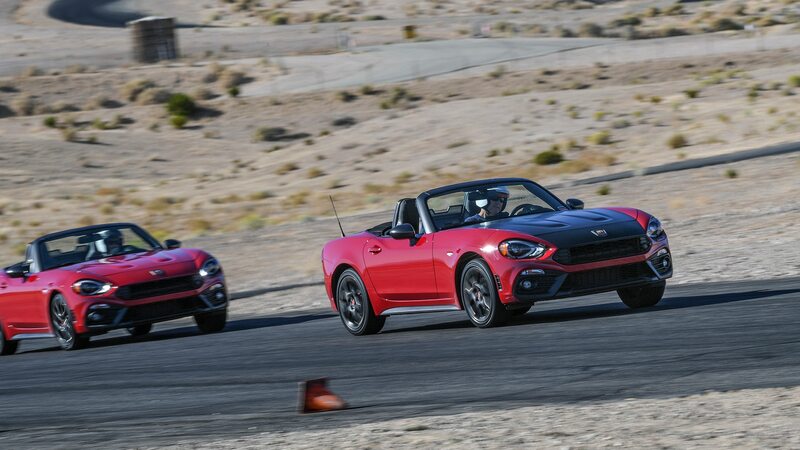 I also sampled a Fiat 124 Spider Abarth during the autocross exercise, but had way more fun in the Fiat 500 Abarth. 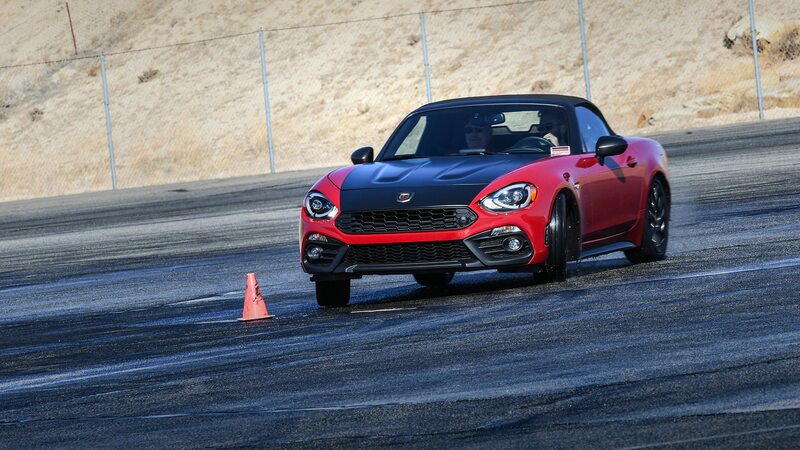 After completing the autocross exercise we moved on to the skidpad (car control) exercise and it was by far the most challenging. 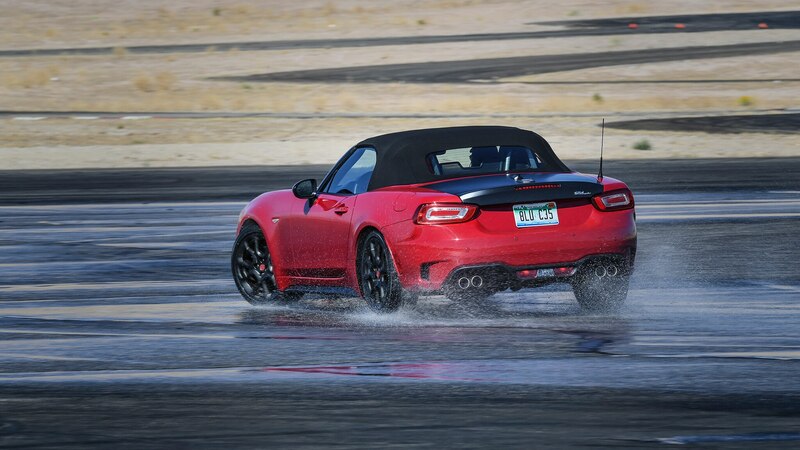 I heard one Skip Barber team member say “he who conquers the skidpad conquers all.” That person was certainly not me. 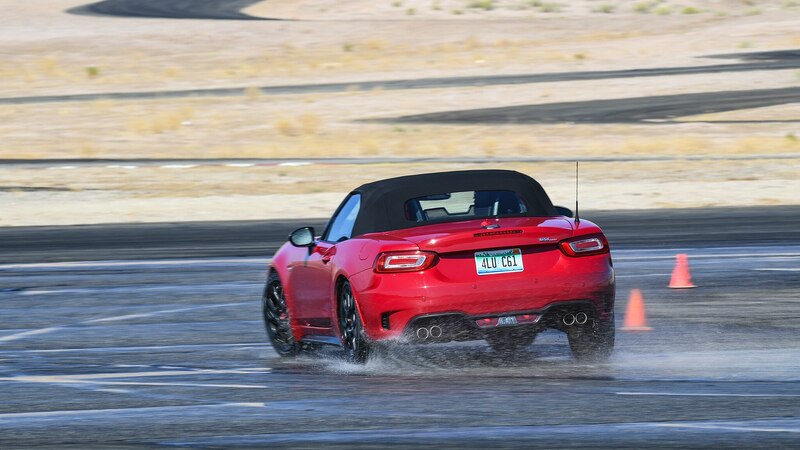 A skidpad is a wet road surface designed to test a car’s ability to withstand circular acceleration. 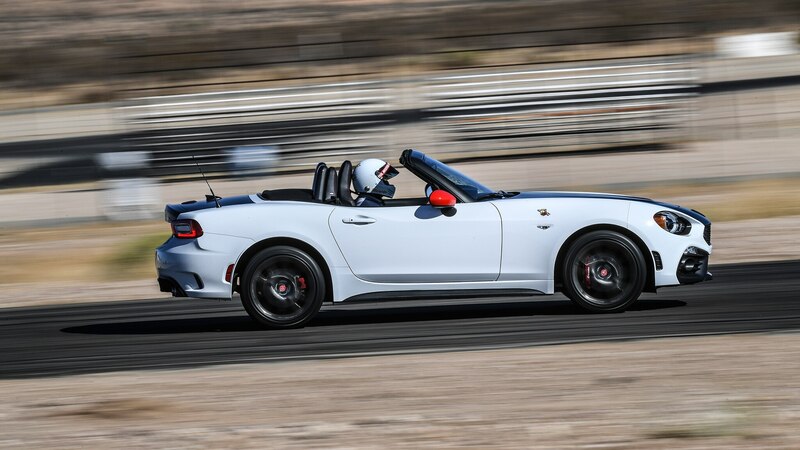 Prior to initiating the lateral acceleration in the 124 Spider, Terry explained the life-saving technique of (C.P.R) Correction, Pause, and Recovery. 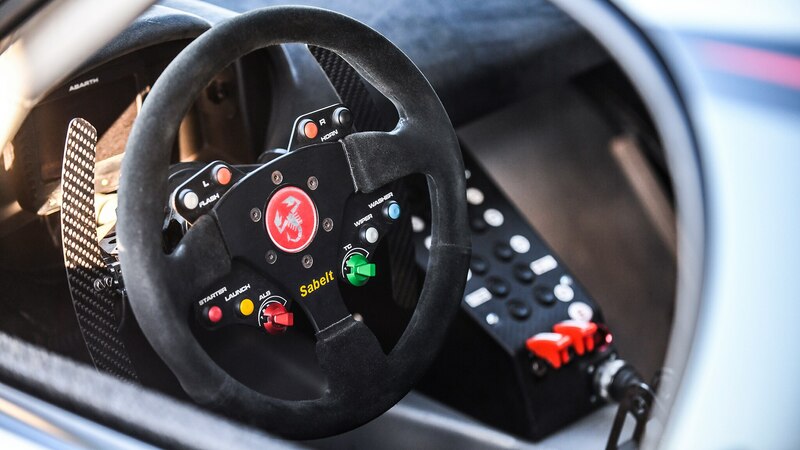 “You’re going to accelerate to the right and hold the wheel toward that direction. 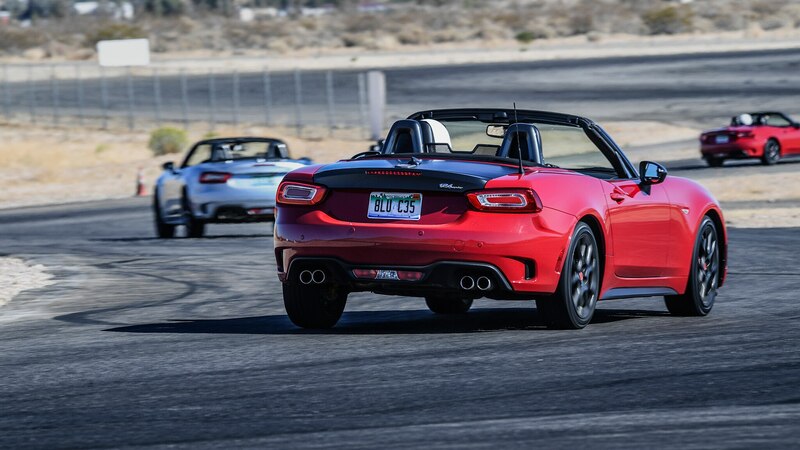 Make sure to keep your eyes where you want the car to go. 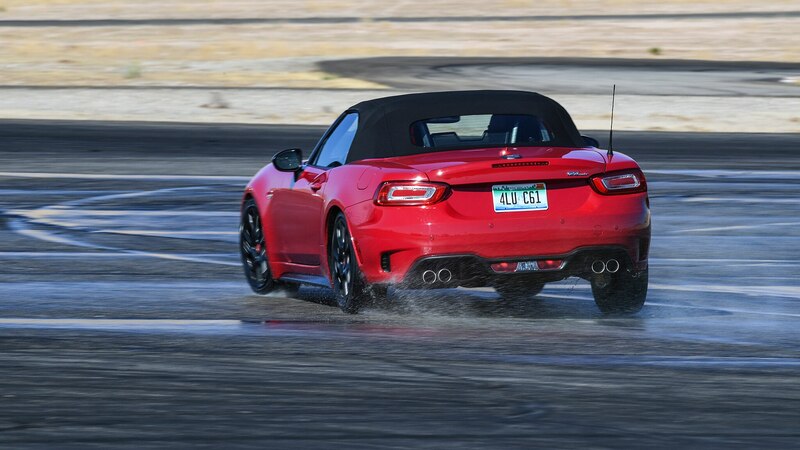 When I pull the emergency brake, correct the steering so that the car goes in the direction of the skidpad. 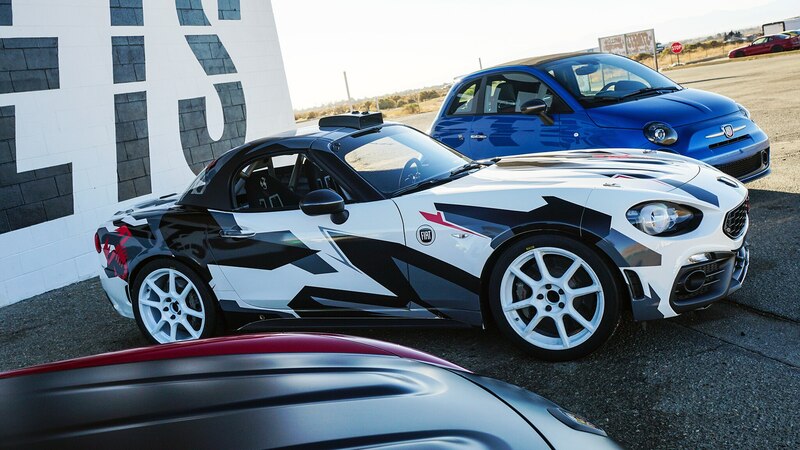 Then pause while holding the correction to catch the slide and immediately apply your recovery,” Terry said. 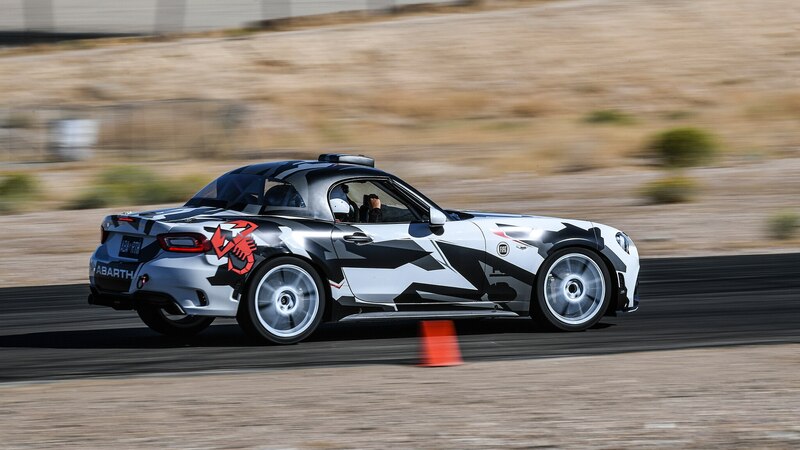 The C.P.R. 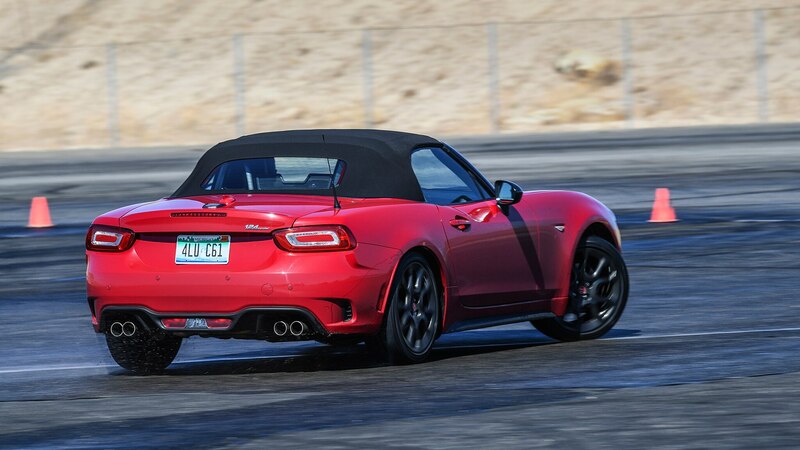 technique sounded pretty simple, however it was anything but simple. 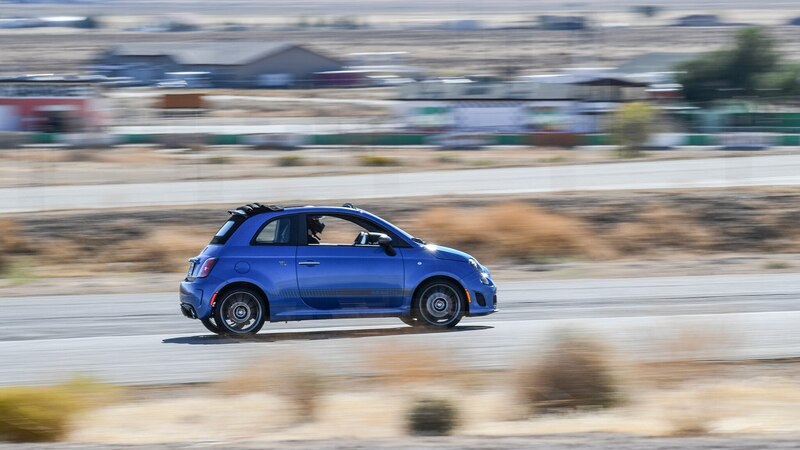 I lost control of the car several times and the act of spinning uncontrollably made me laugh out loud every time. 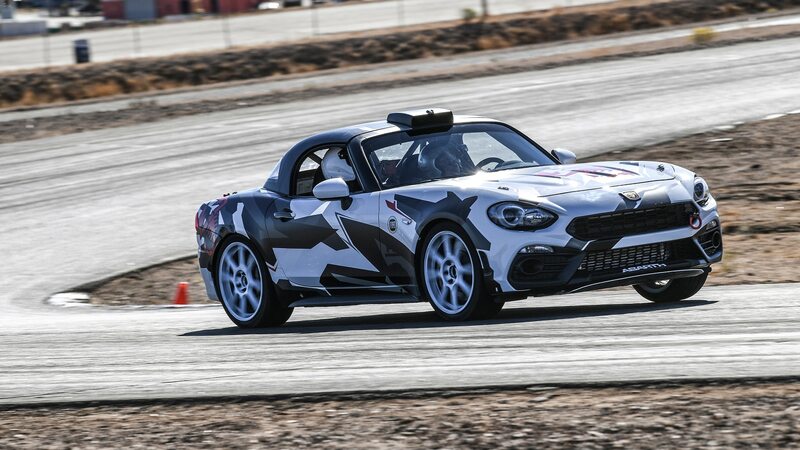 Not wanting to give Terry the impression that I was not serious about getting a good grip on the skidpad, I apologized for laughing and his sense of humor did not help the situation. 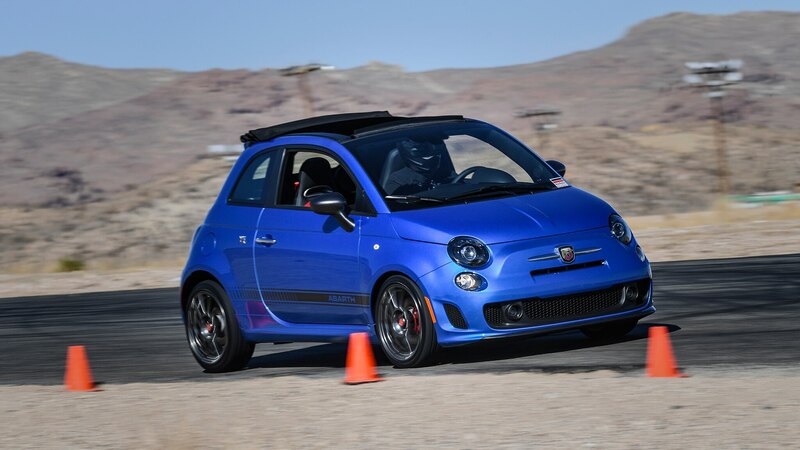 Even though I failed gloriously at the car control exercise I learned that failure was okay as long as you improved what you were failing at. 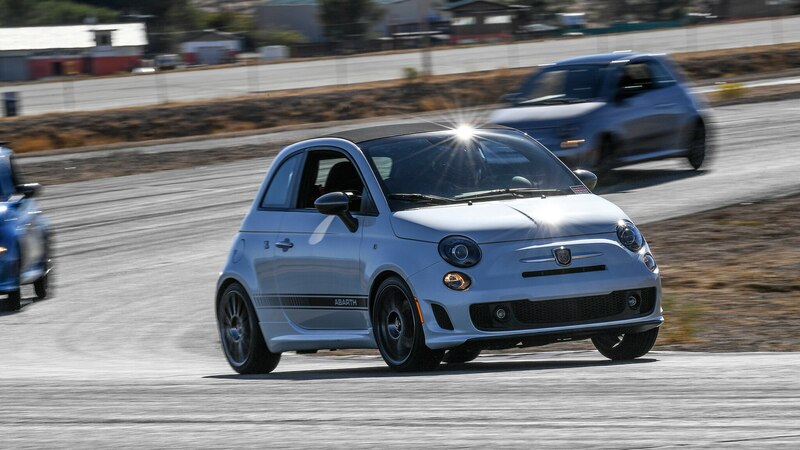 After many sloppy loops, engine shut offs, and two driving instructors I finally mastered a full circle without the car spinning out of control or the engine shutting off. 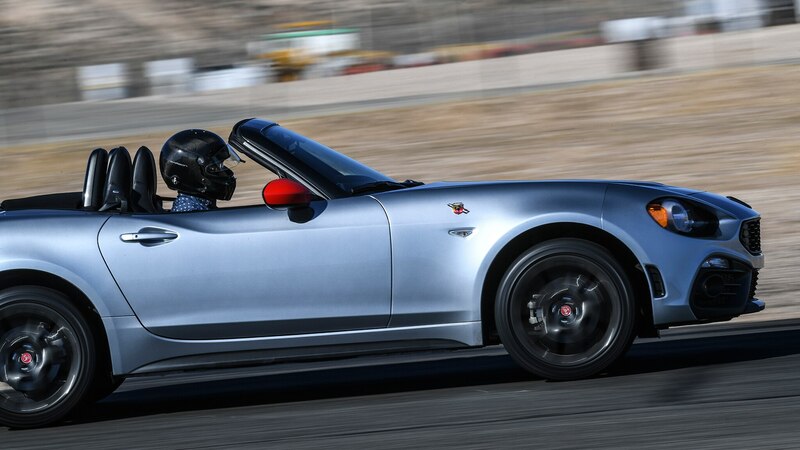 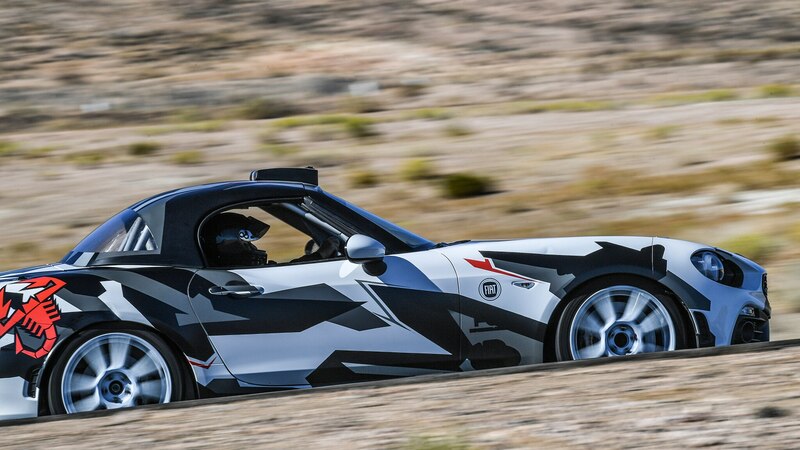 After completing the autocross and skidpad exercises we were rewarded with a track driving session. 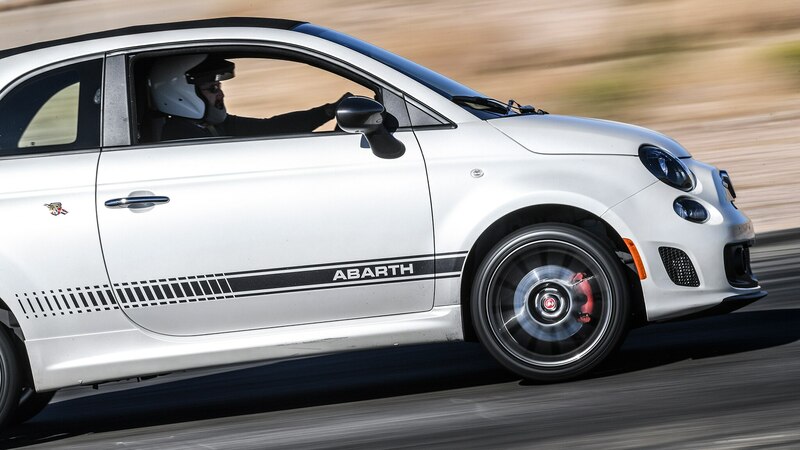 We were handed a helmet and given the option to wear a racing uniform. 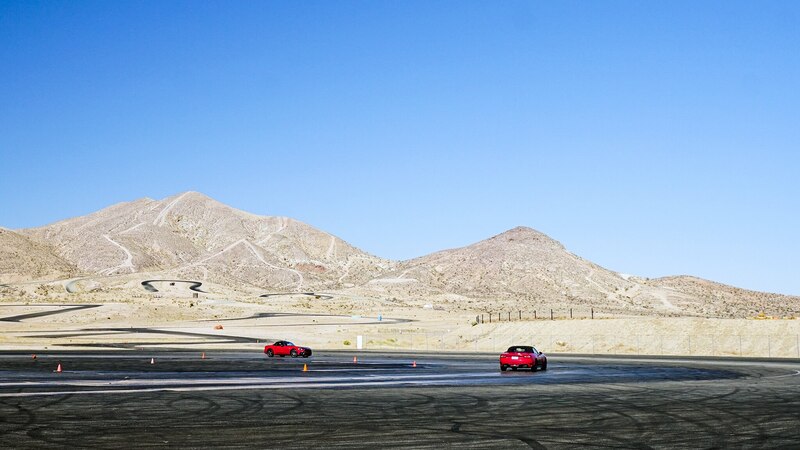 For this part of the course there would be no instructor in the passenger seat. 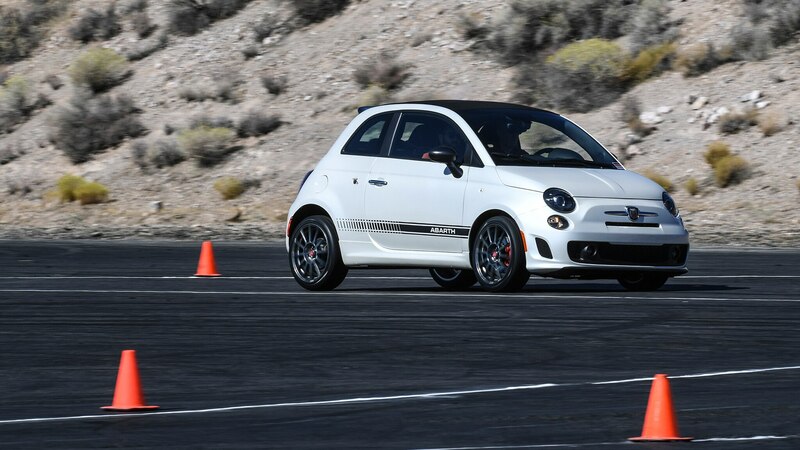 With our newly earned skills the less experienced yellow team went first and in a linear formation we hit the asphalt. 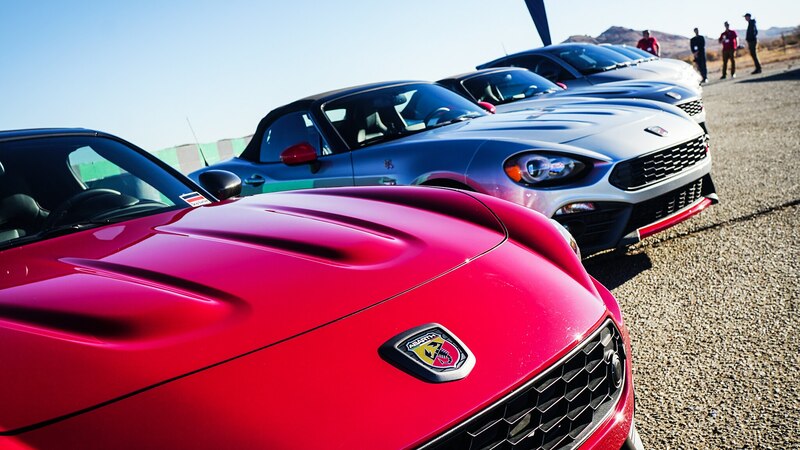 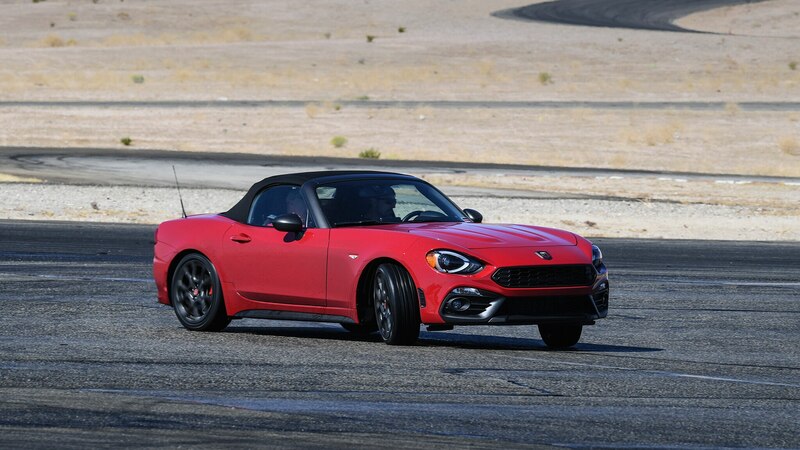 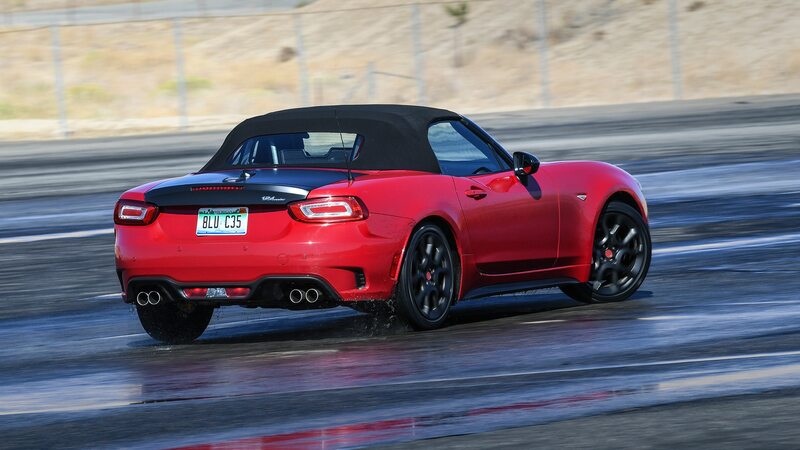 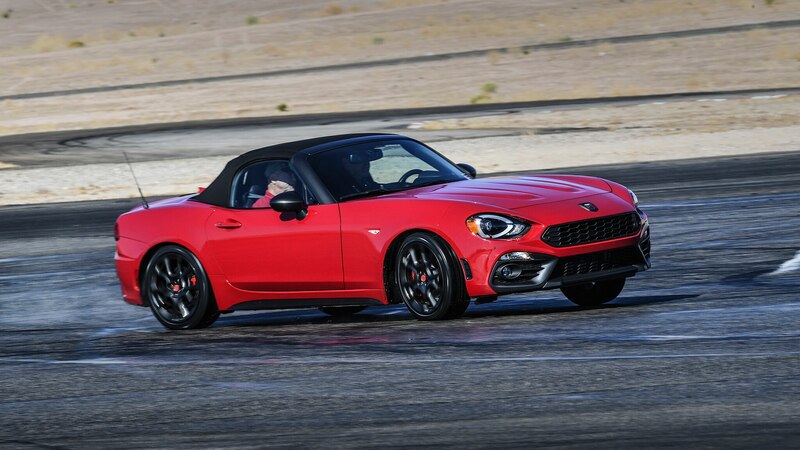 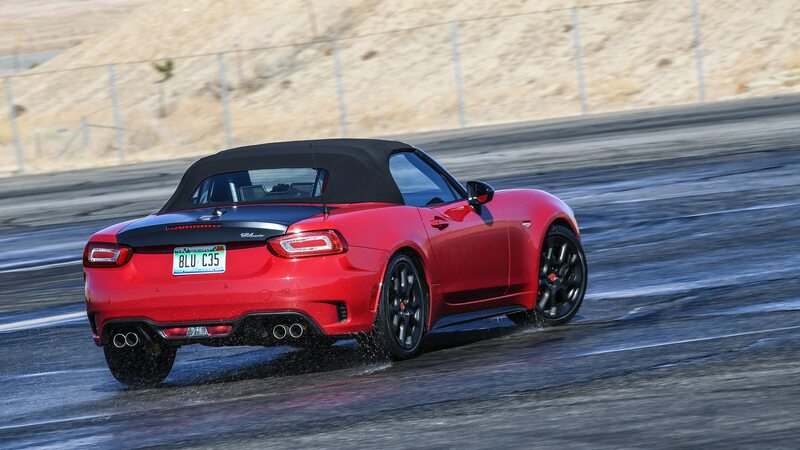 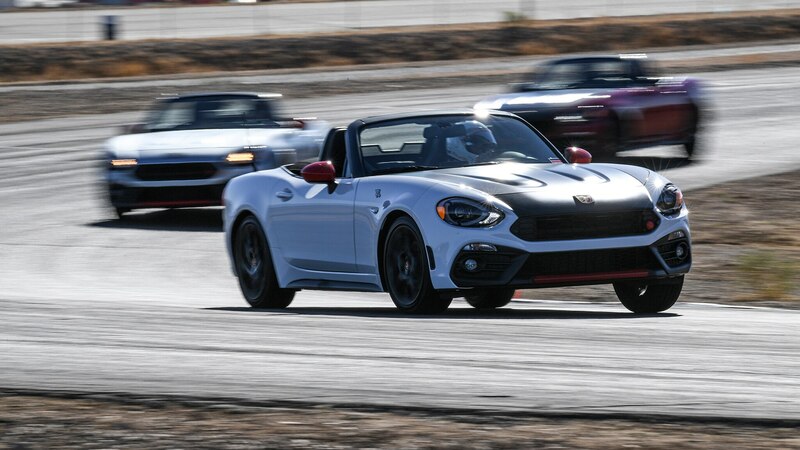 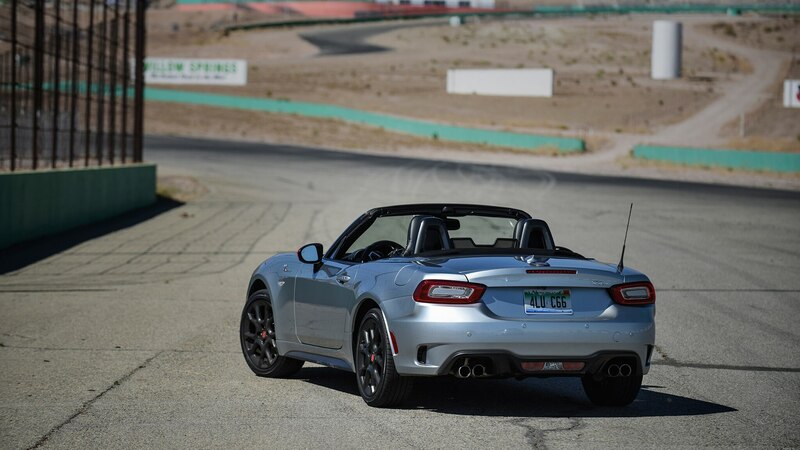 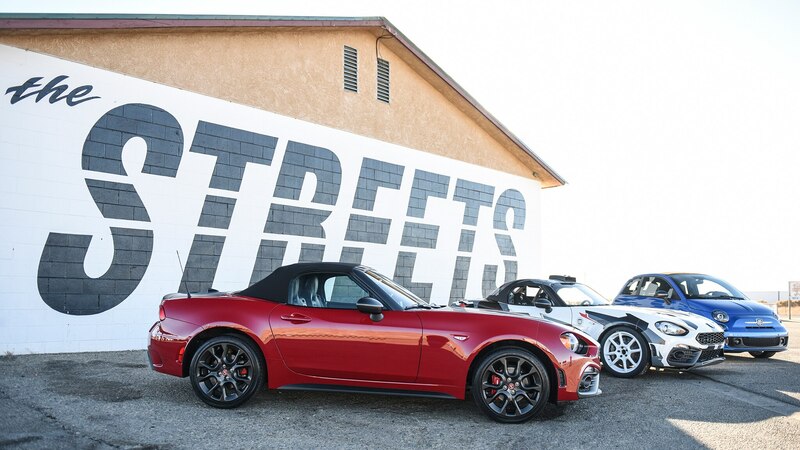 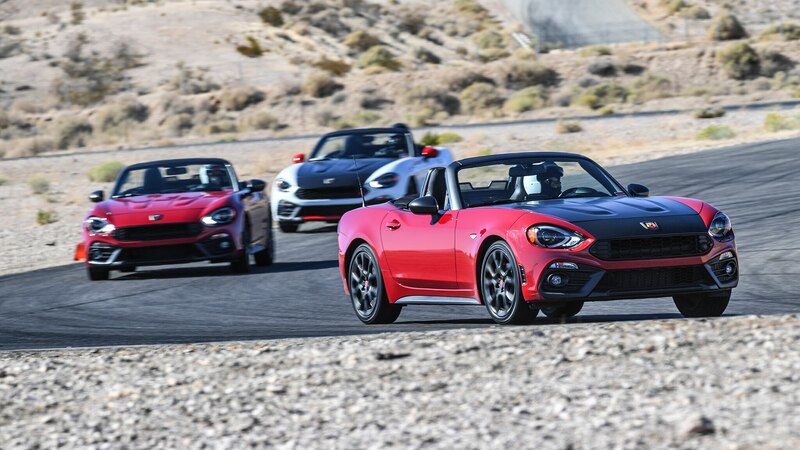 I drove both the 124 Spider and 500 Abarth and had more fun than I can express in words. 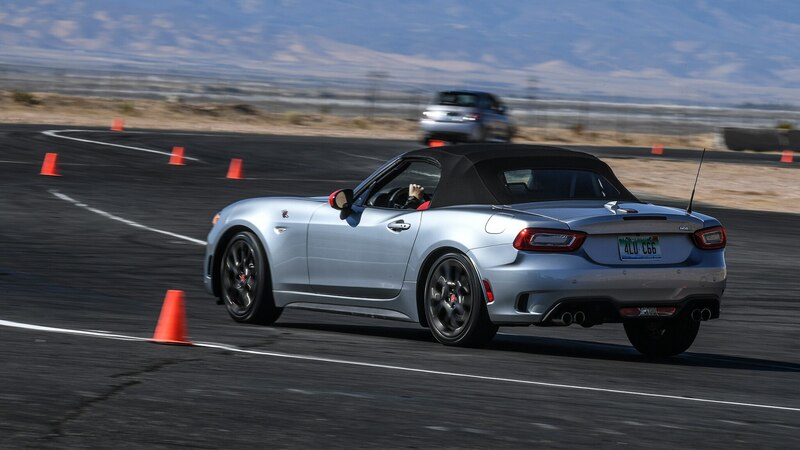 When I signed up for the one-day racing school with Fiat and Skip Barber I didn’t think I would enjoy myself due to my lack of track experience. 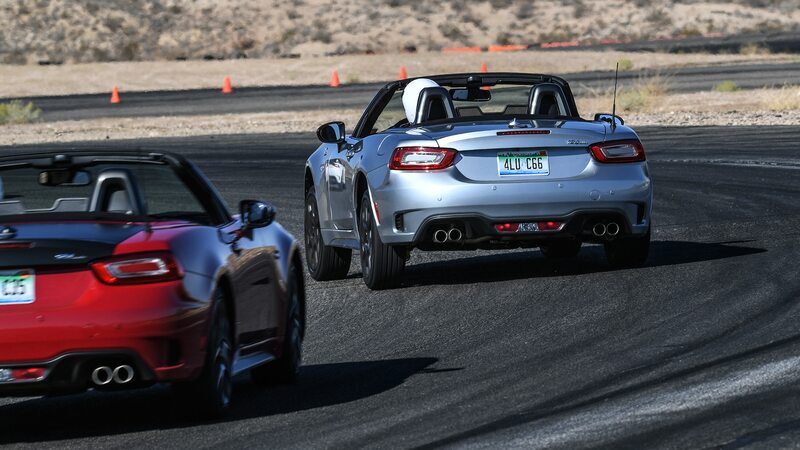 That said, racing school turned out to be fun and a valuable education. 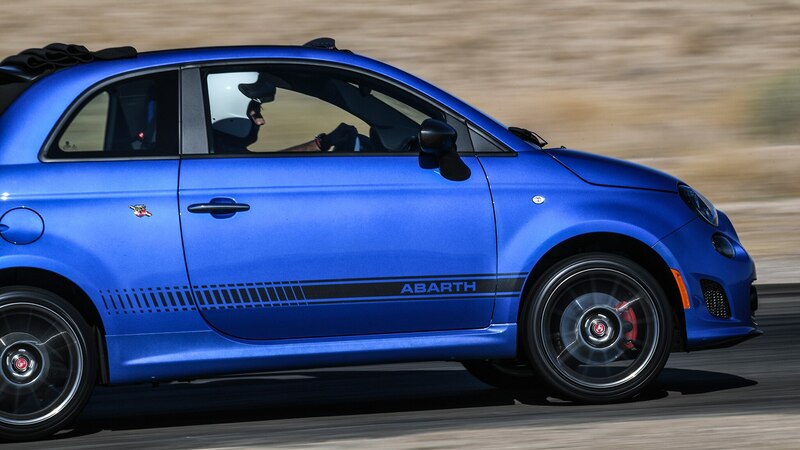 It introduced me to important driving skills that could aid me in the ruthless Los Angeles traffic. 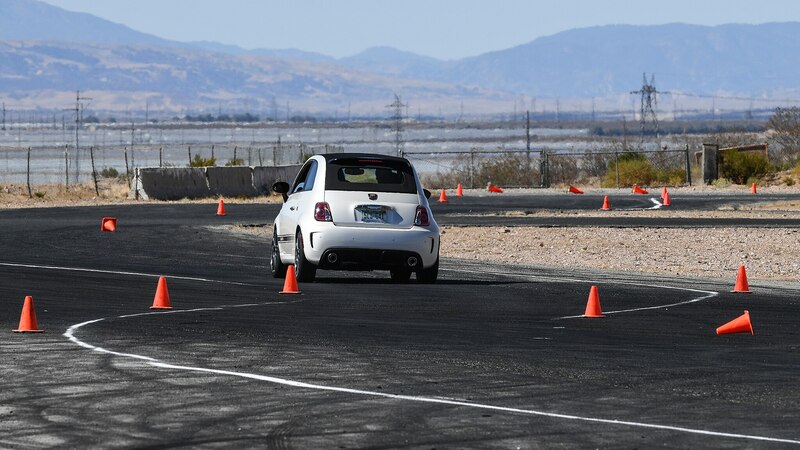 Skills that I am willing to bet would prevent accidents if only drivers were not ignorant of them. 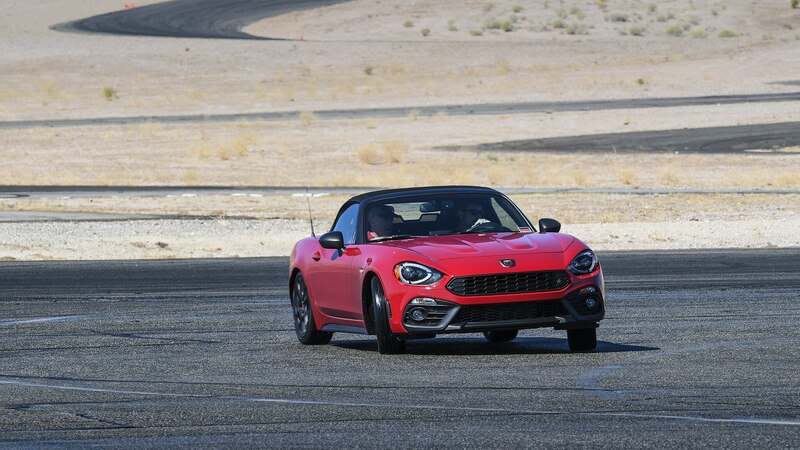 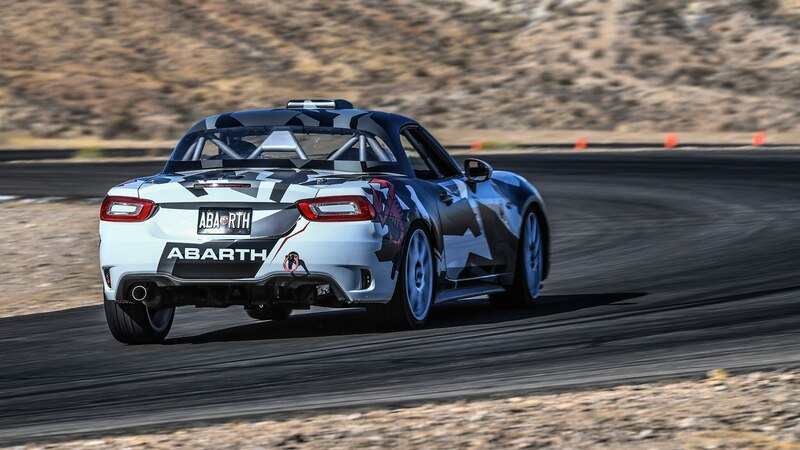 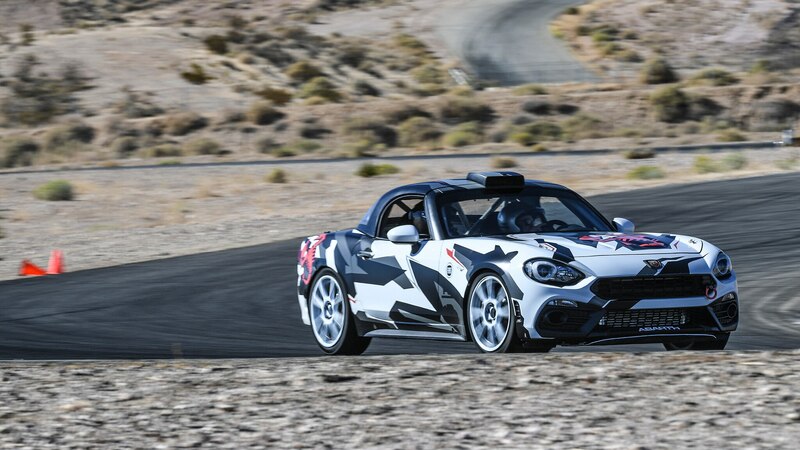 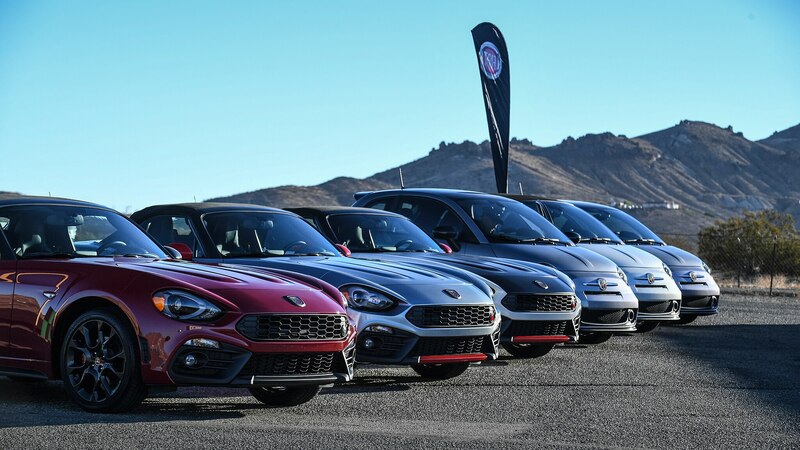 Thanks to Fiat and Skip Barber Racing School I now have the confidence to join the rest of the guys on the track for our upcoming All-Stars competition.